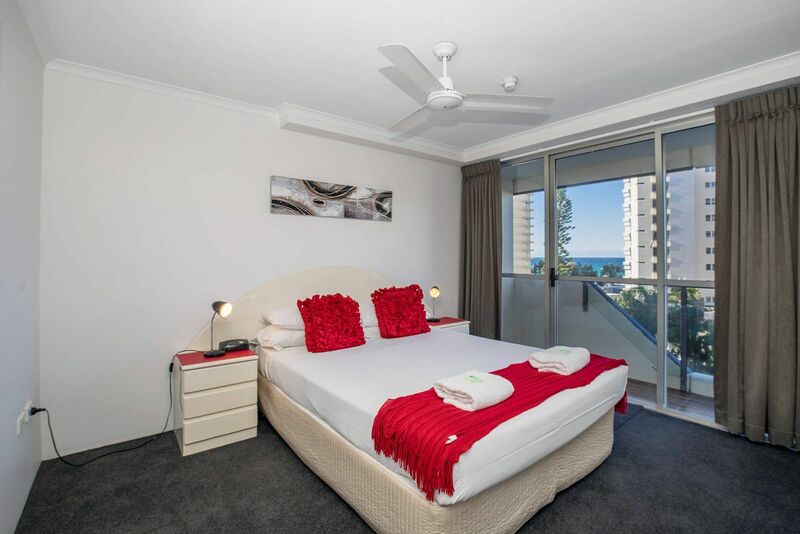 The bedding configuration is a large Queen bed size. 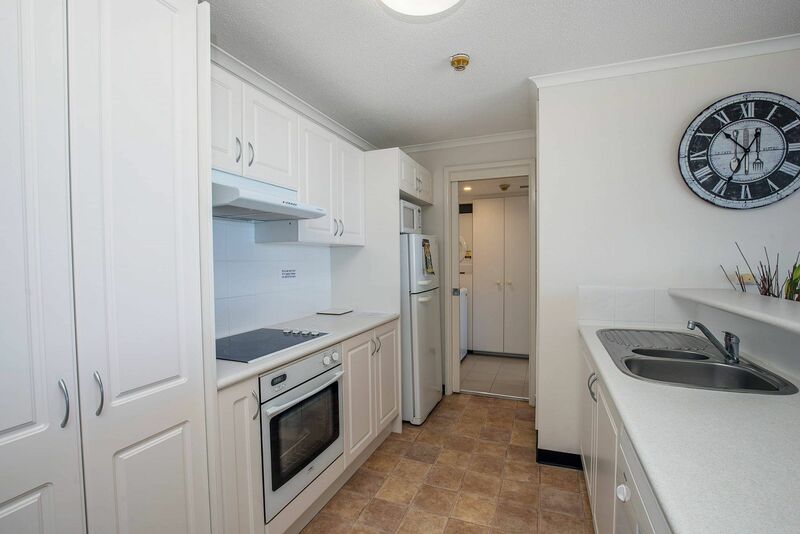 These apartments are serviced weekly. 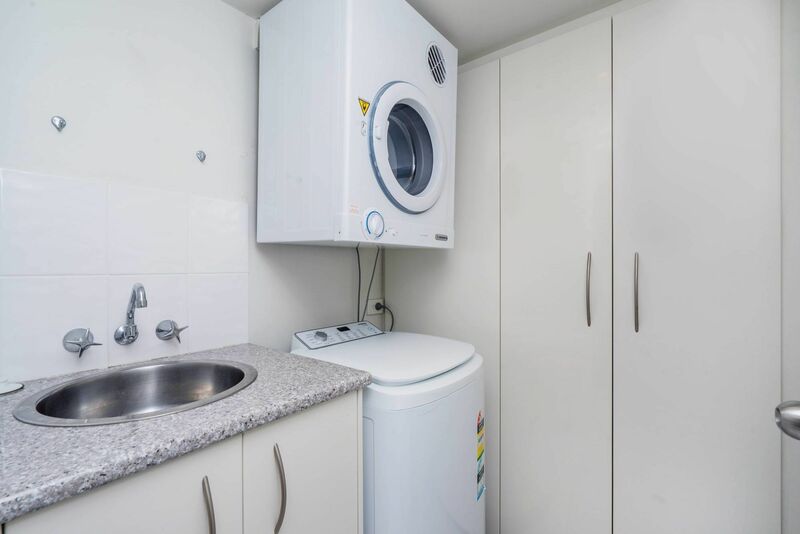 With advance notice extra fold-out beds and cots for children are available for hire should you need. 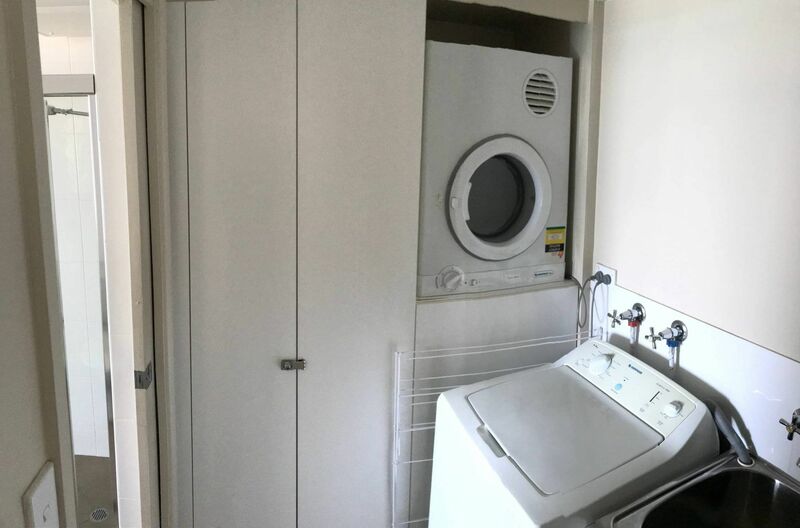 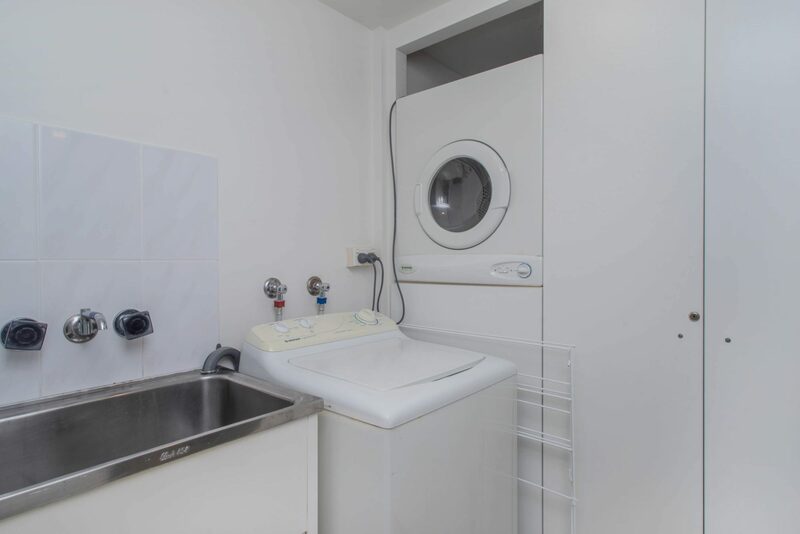 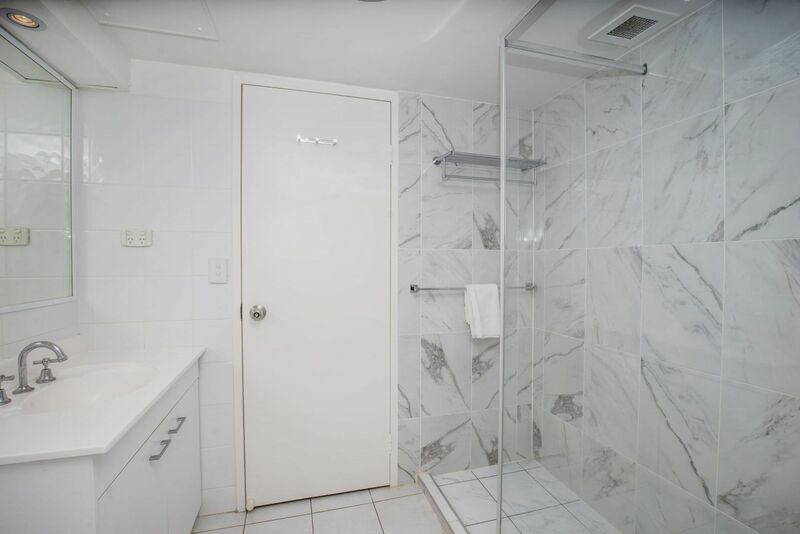 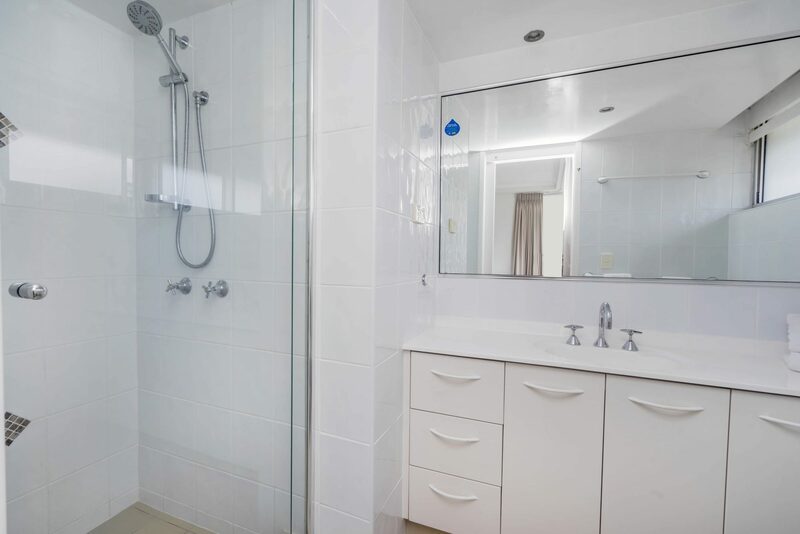 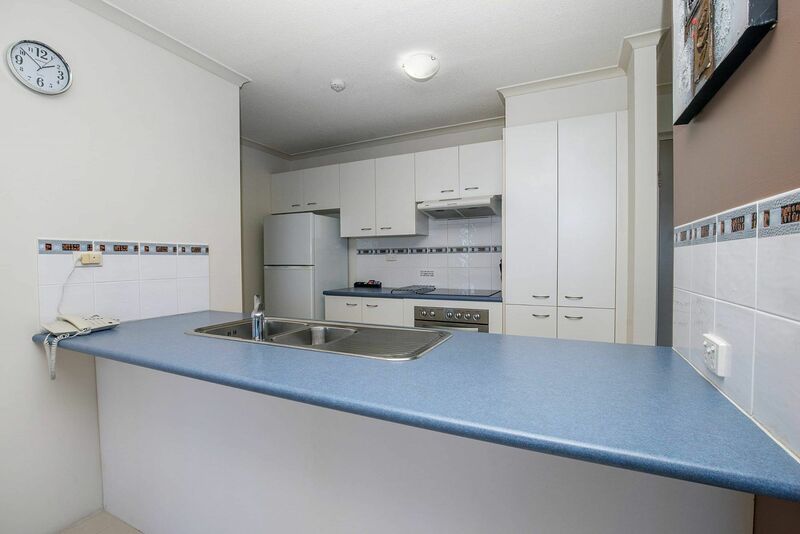 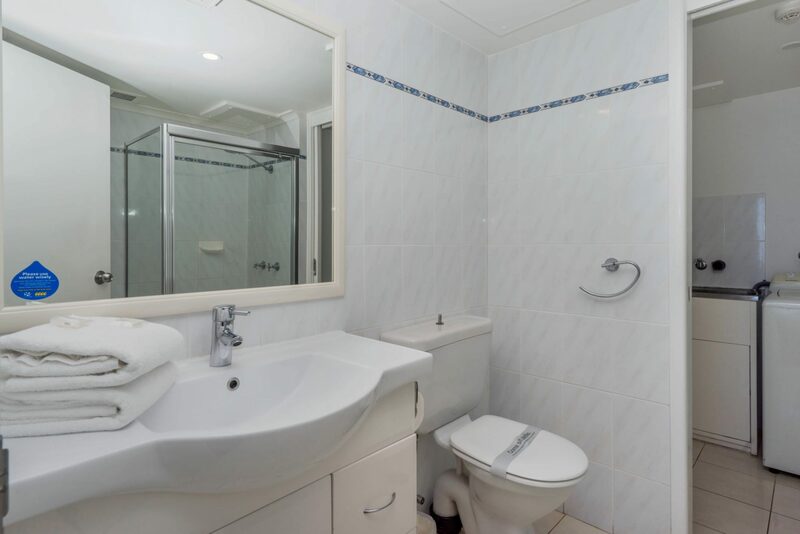 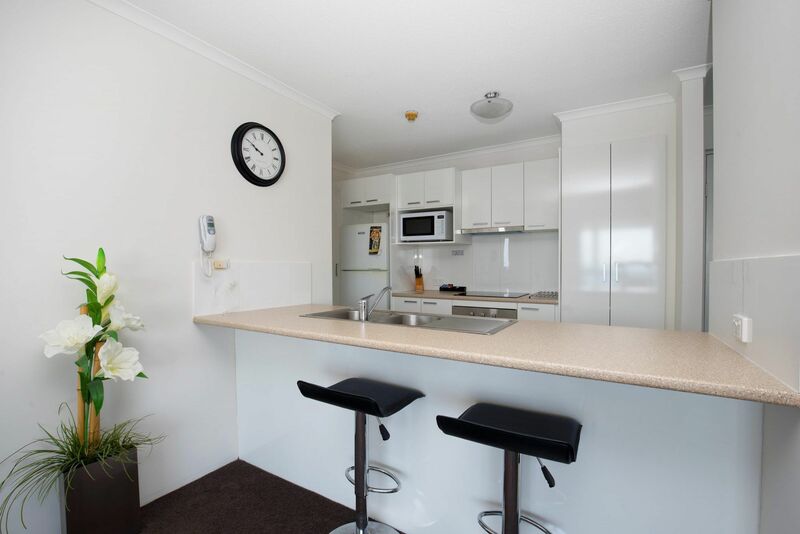 There is a maximum guest capacity of 3 people in the 1 Bedroom Apartments. 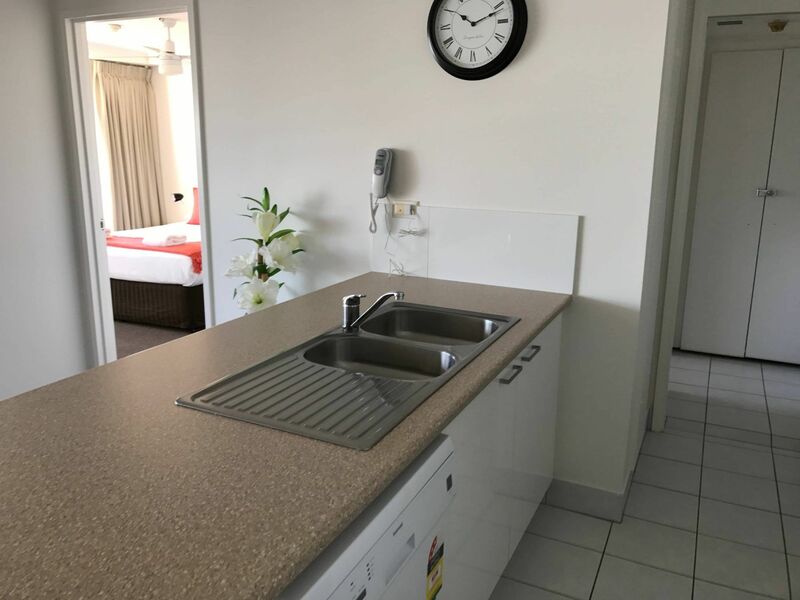 As we are ‘self-contained’ apartments, amenities are supplied by the guest, however we have included a starter provisions kit including soap, shampoo, conditioner, toilet tissue, teas & coffees, milk and a few other items to help ease the wary traveler upon arrival. 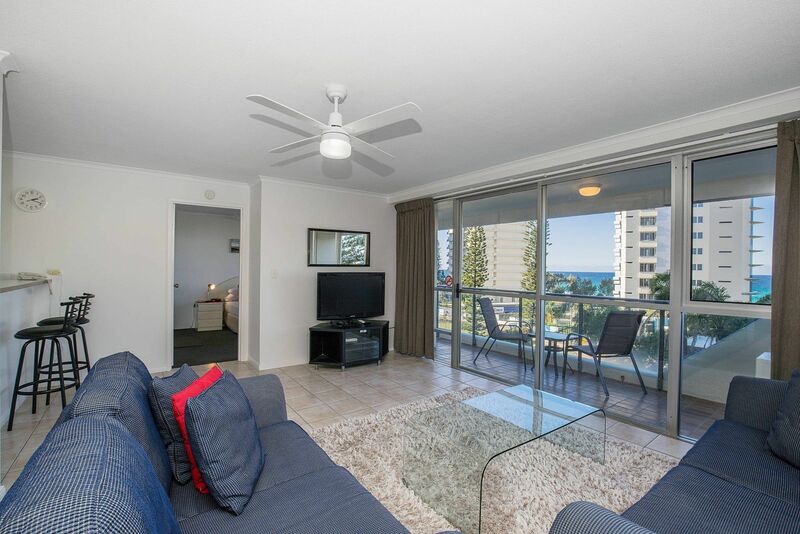 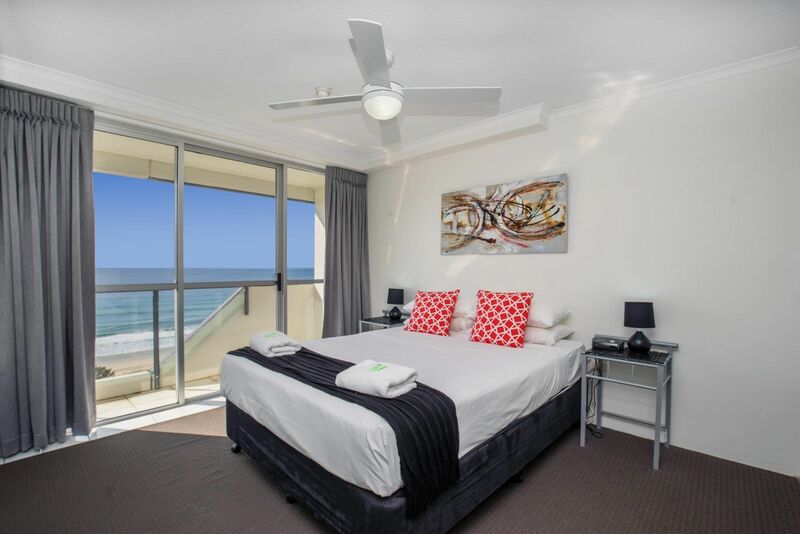 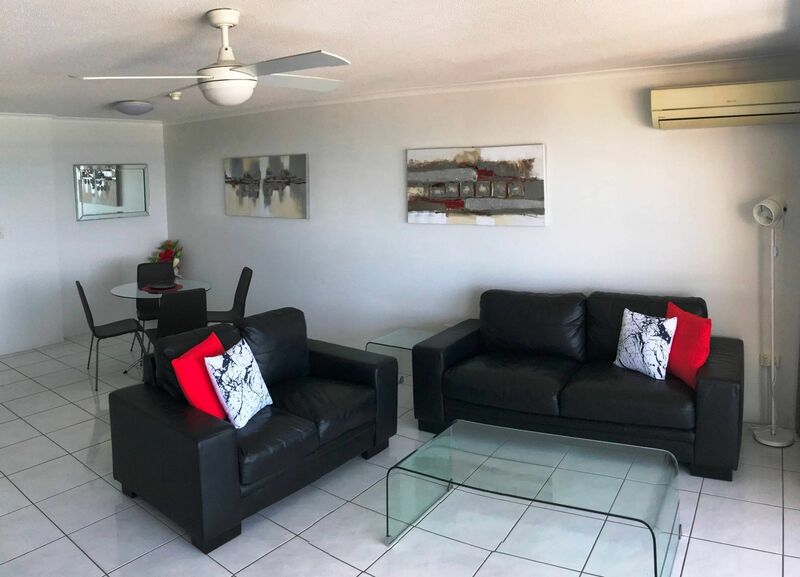 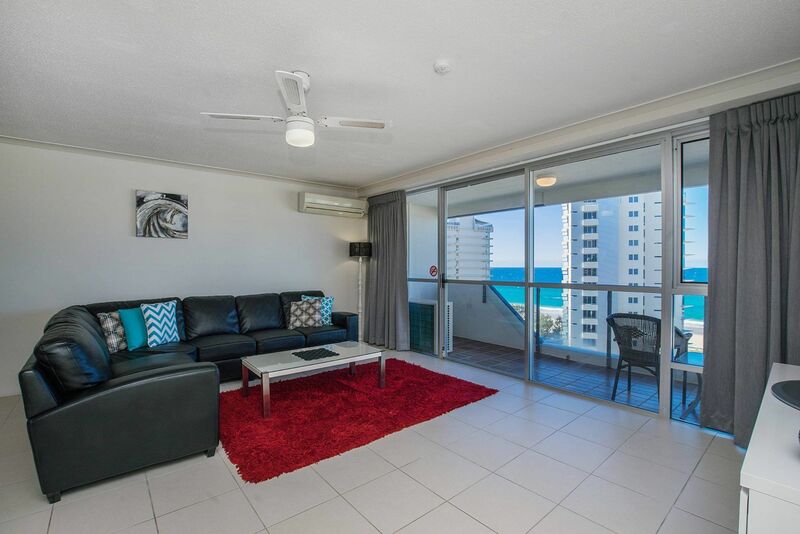 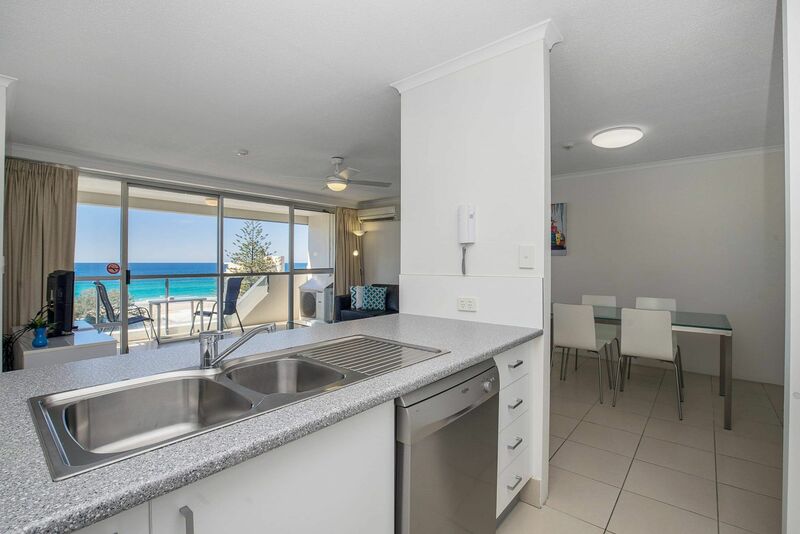 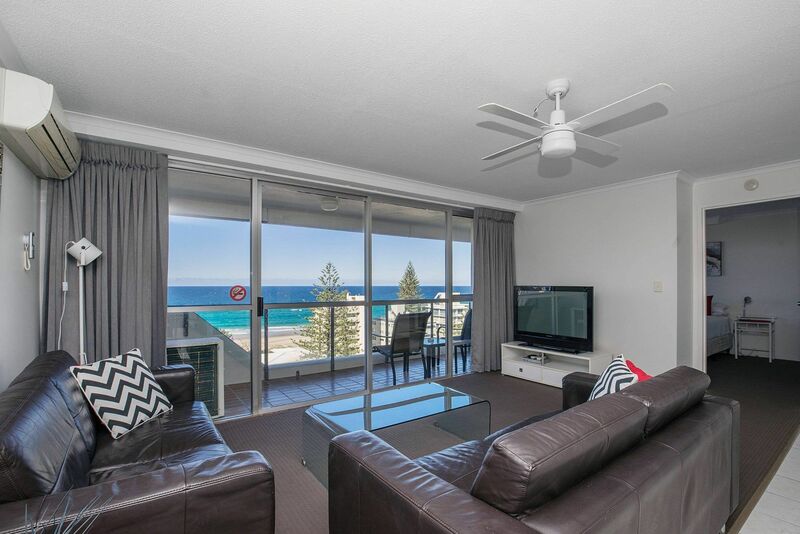 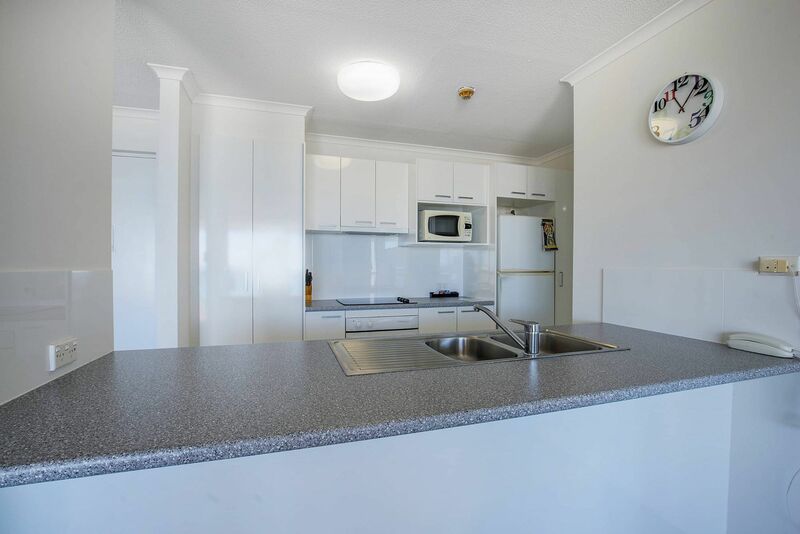 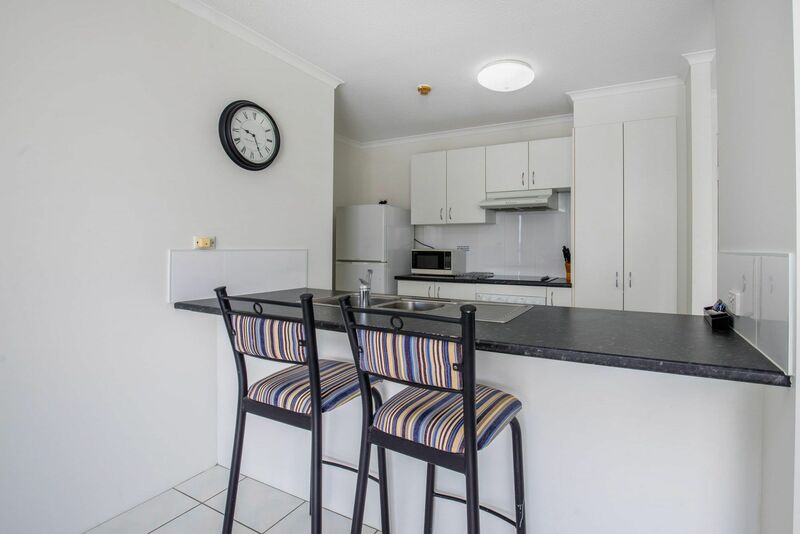 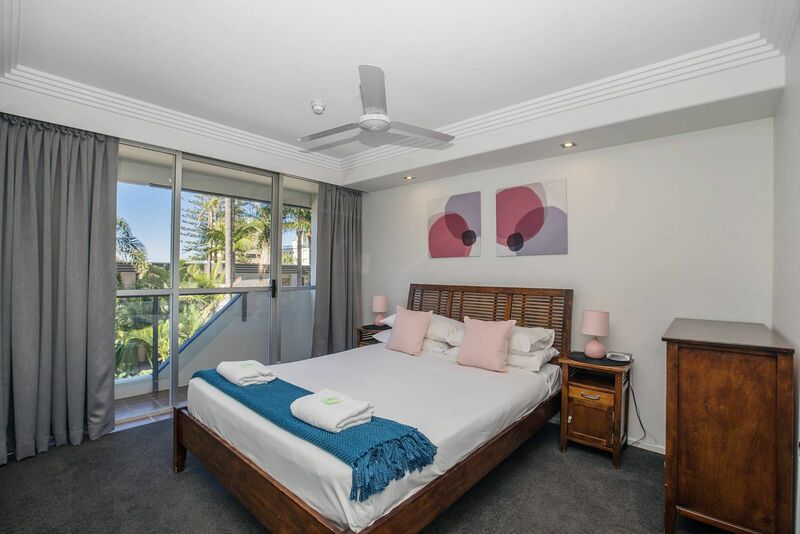 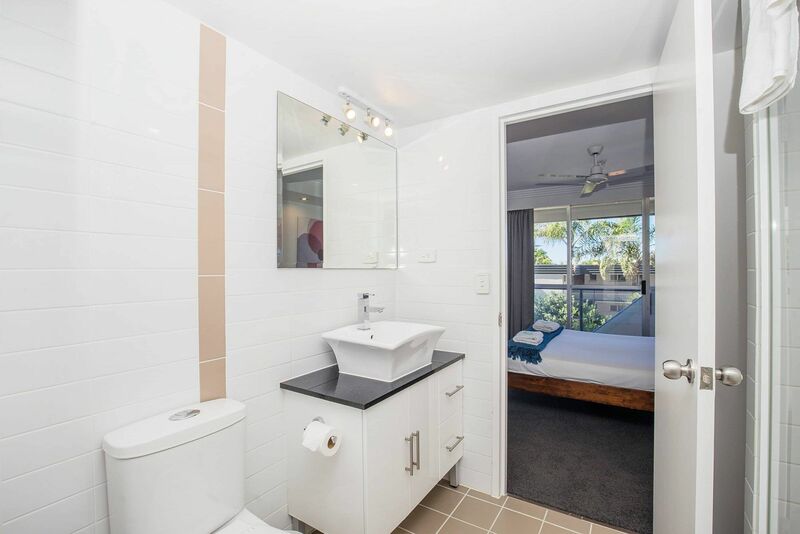 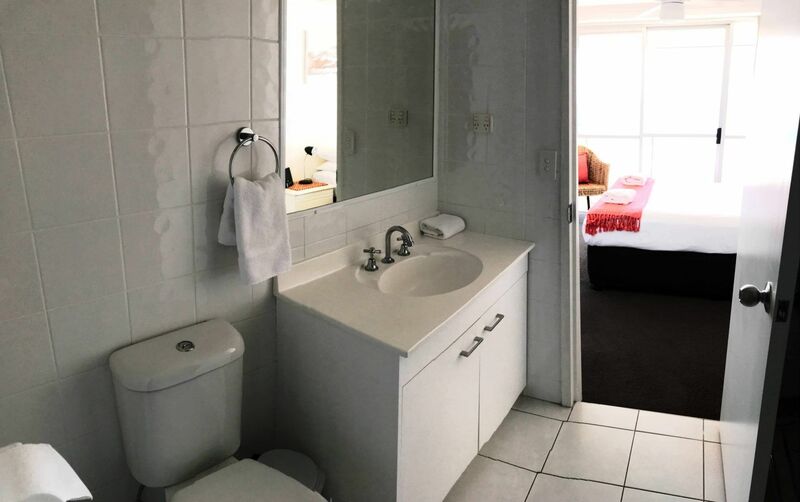 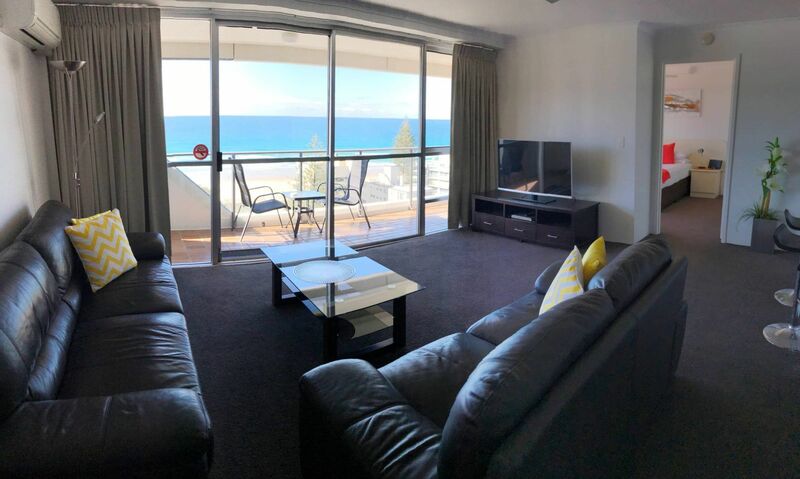 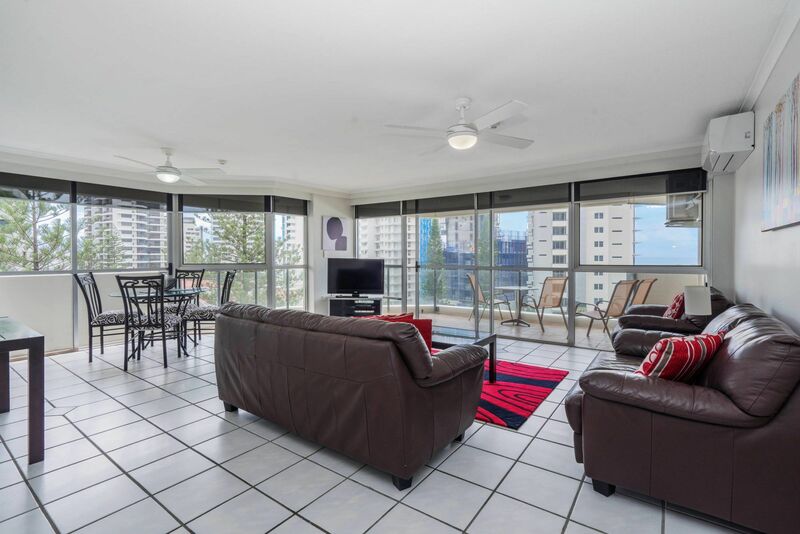 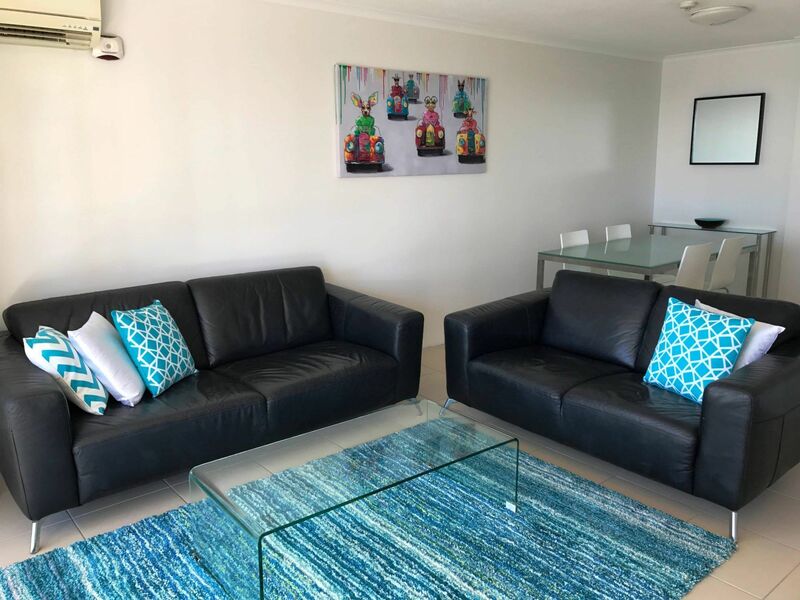 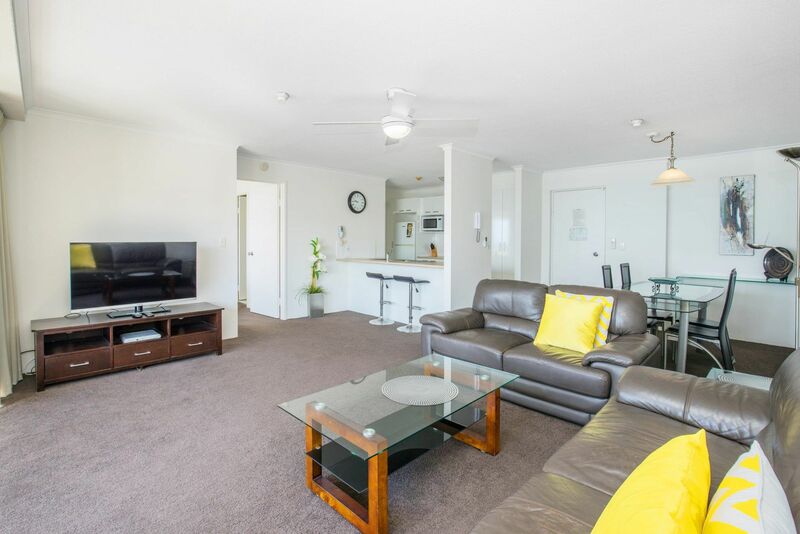 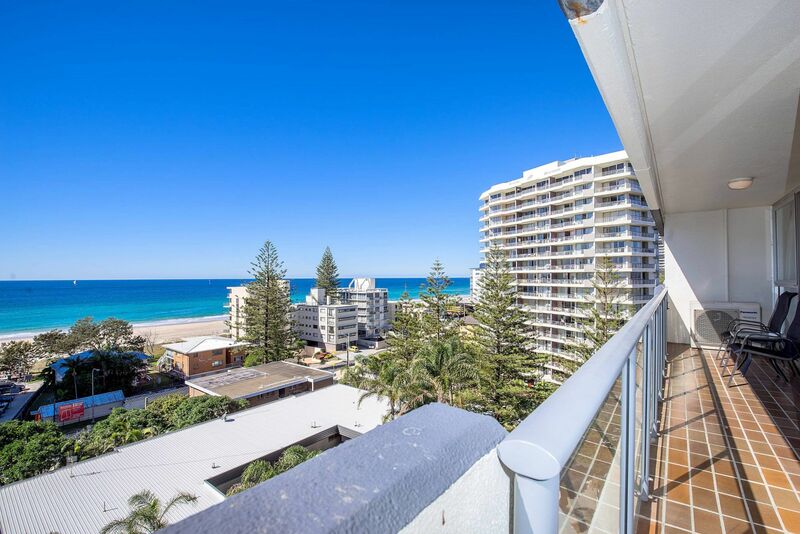 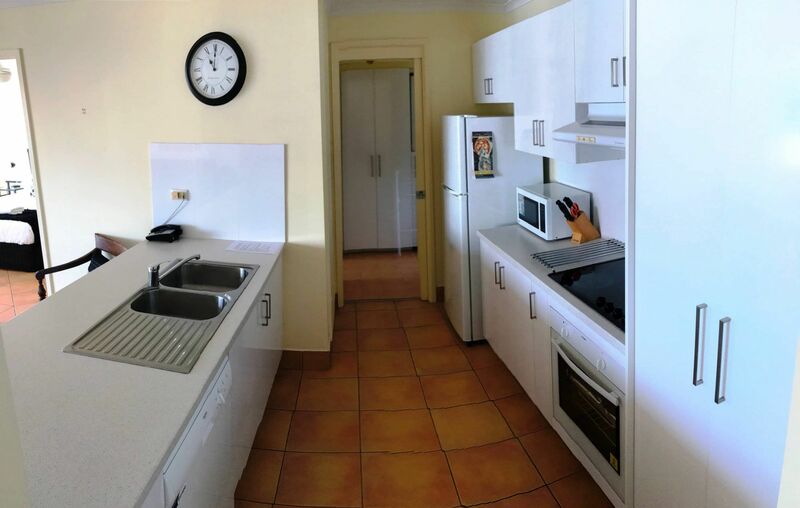 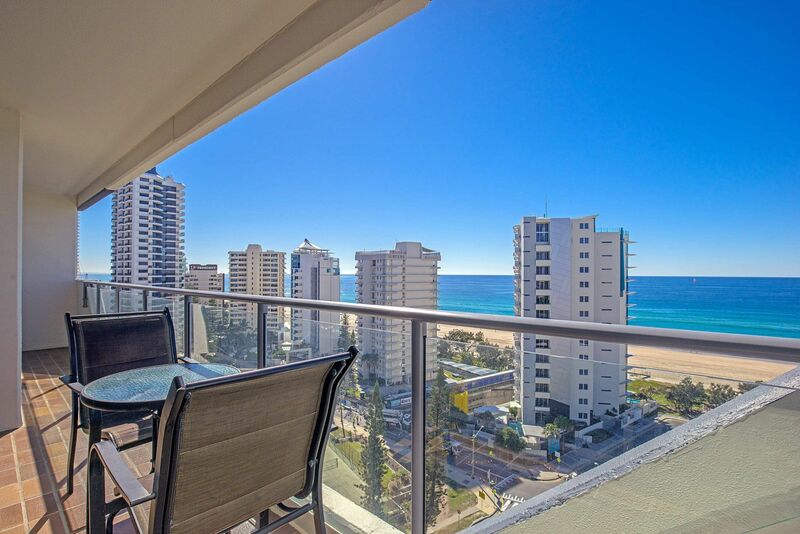 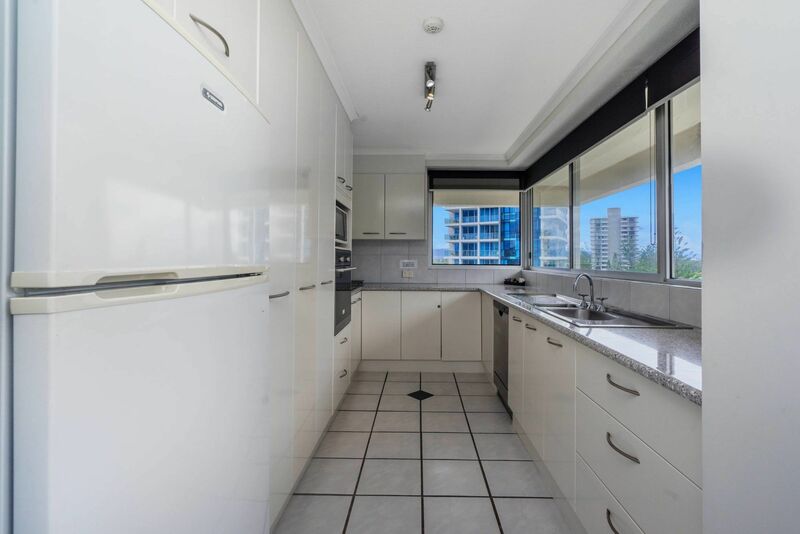 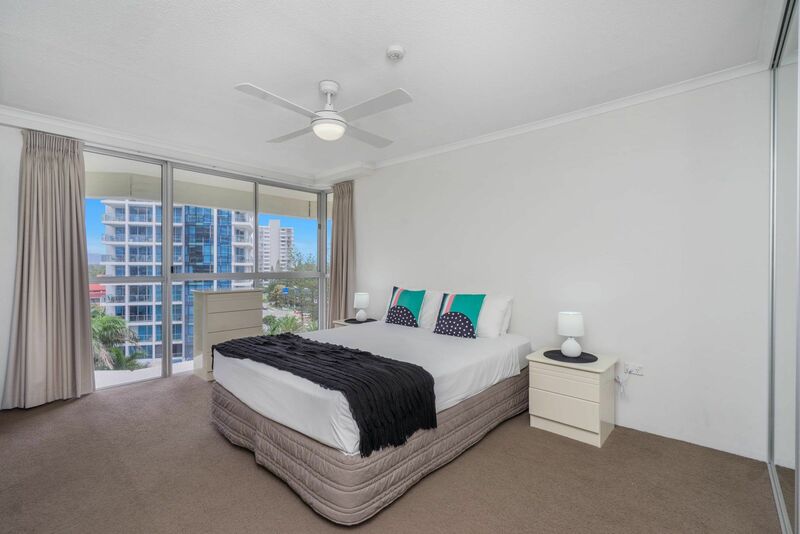 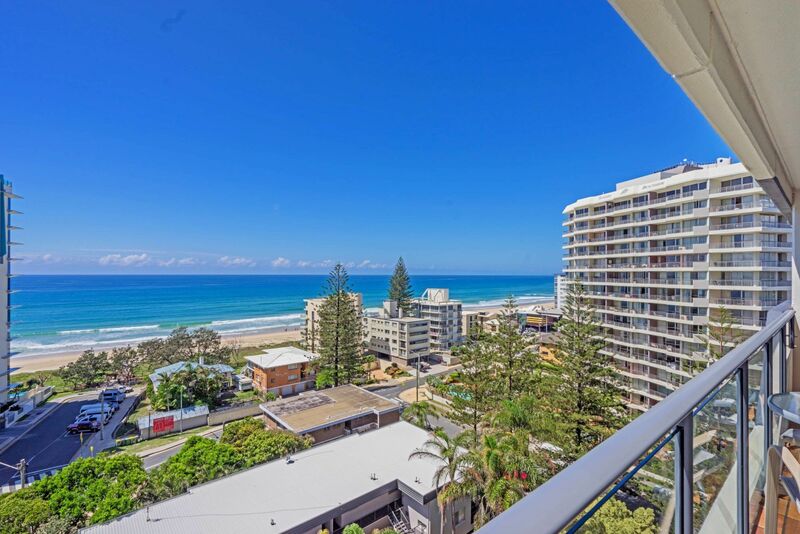 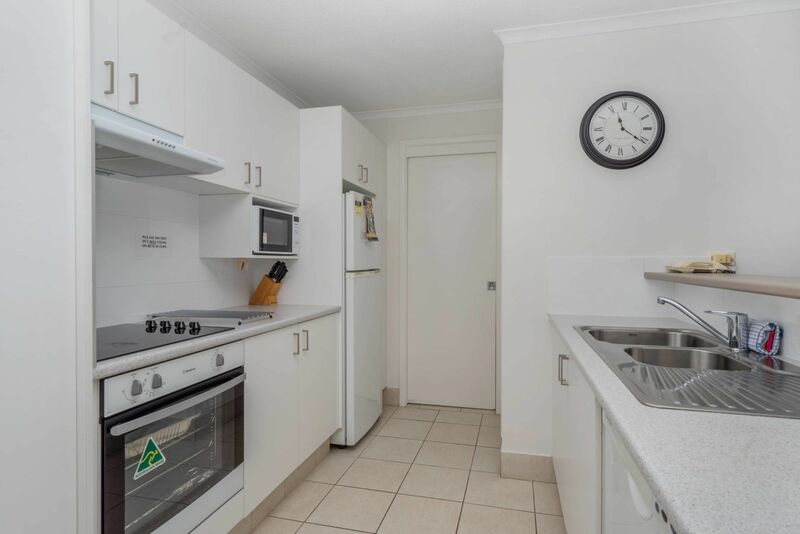 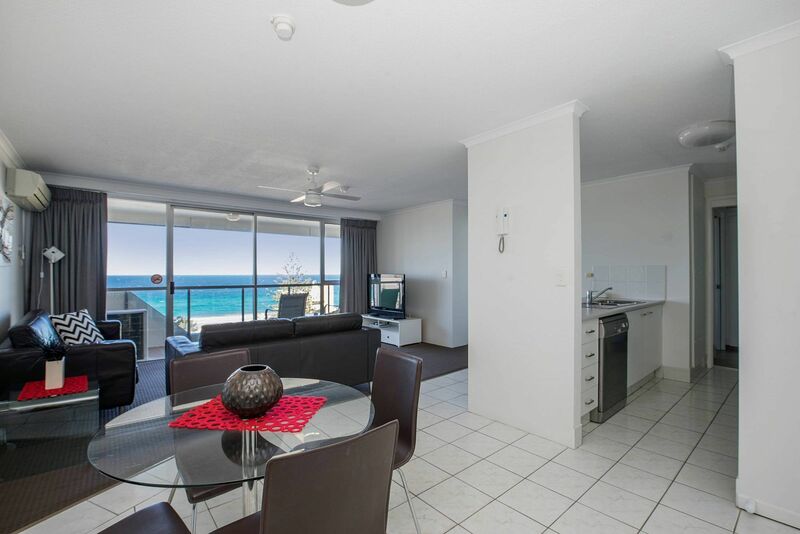 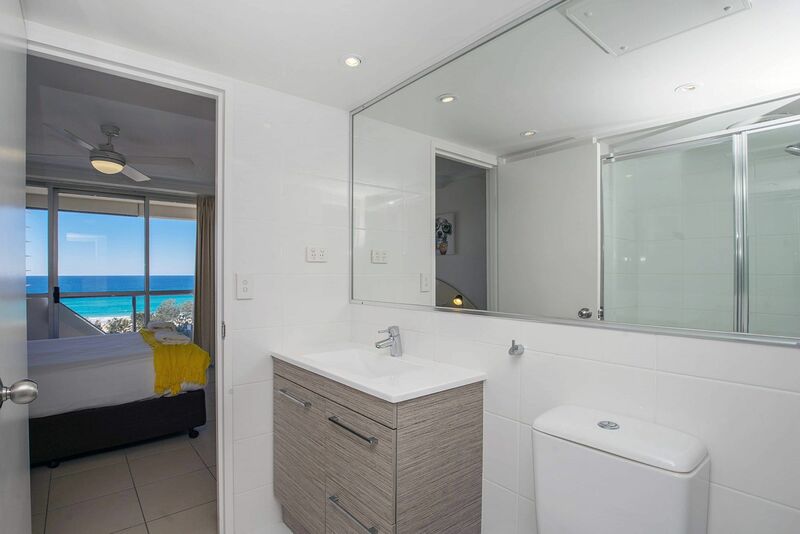 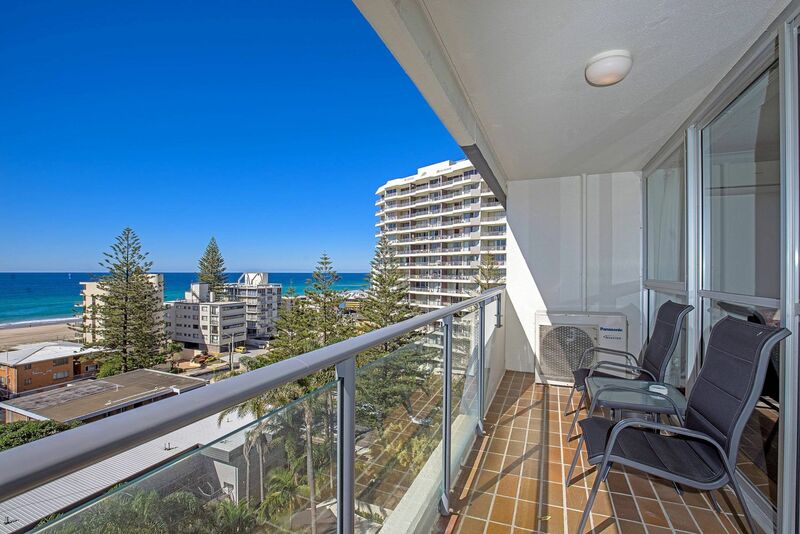 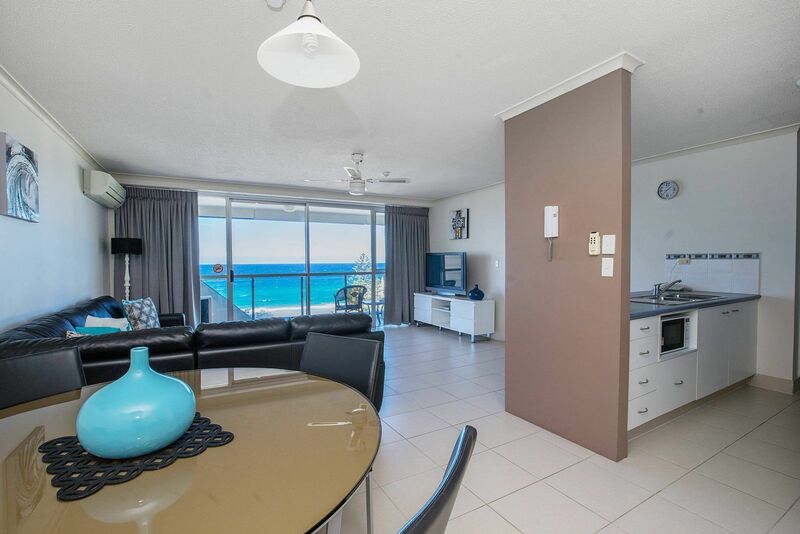 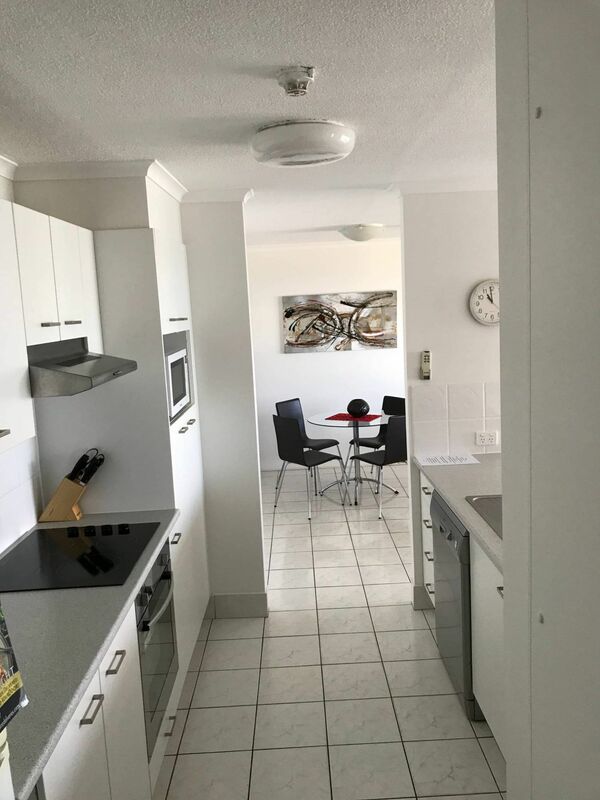 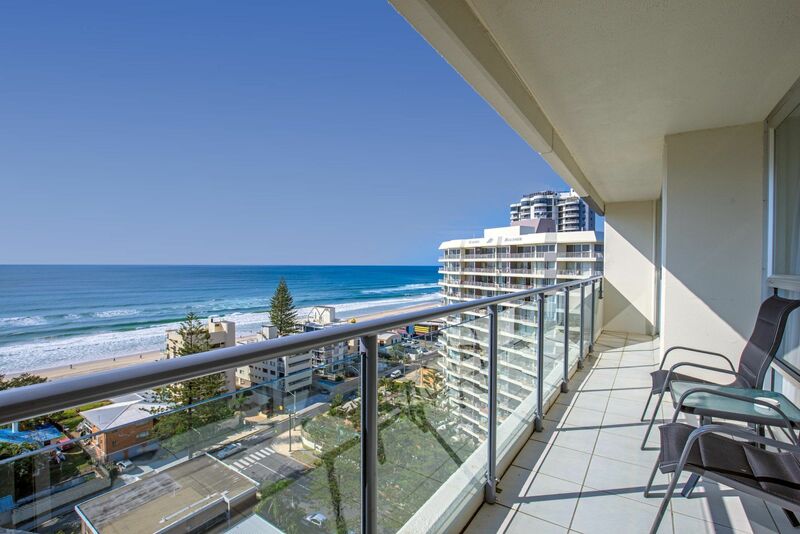 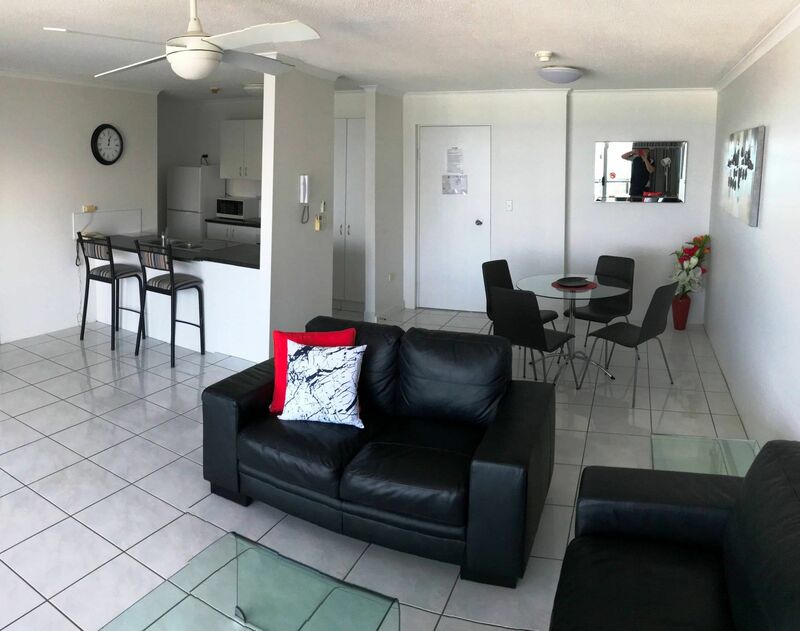 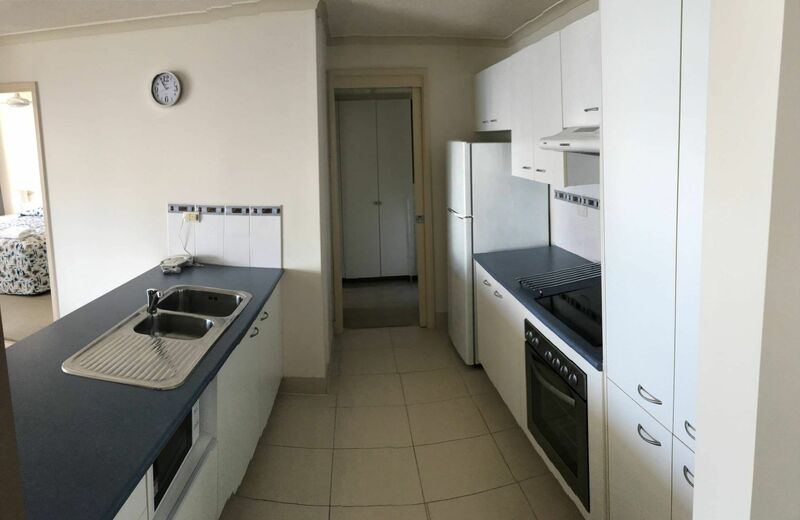 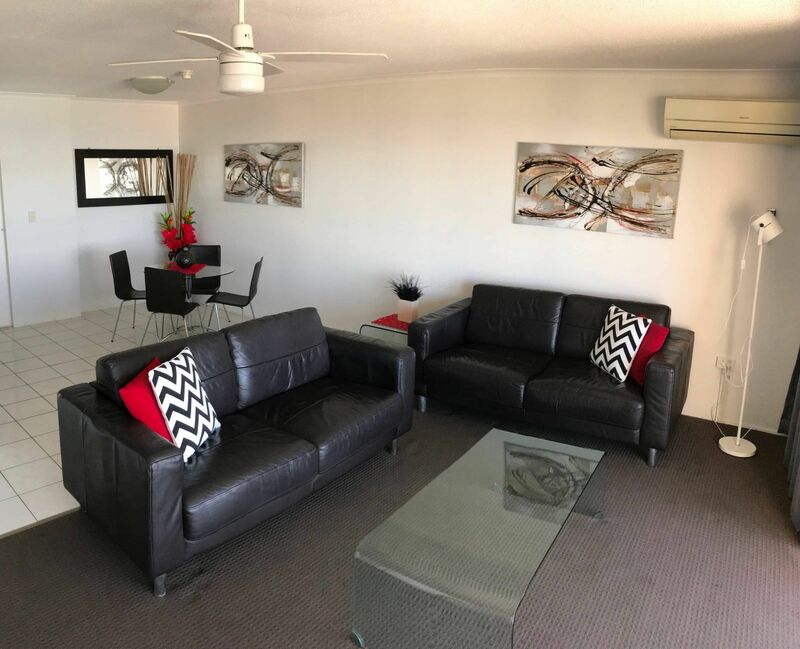 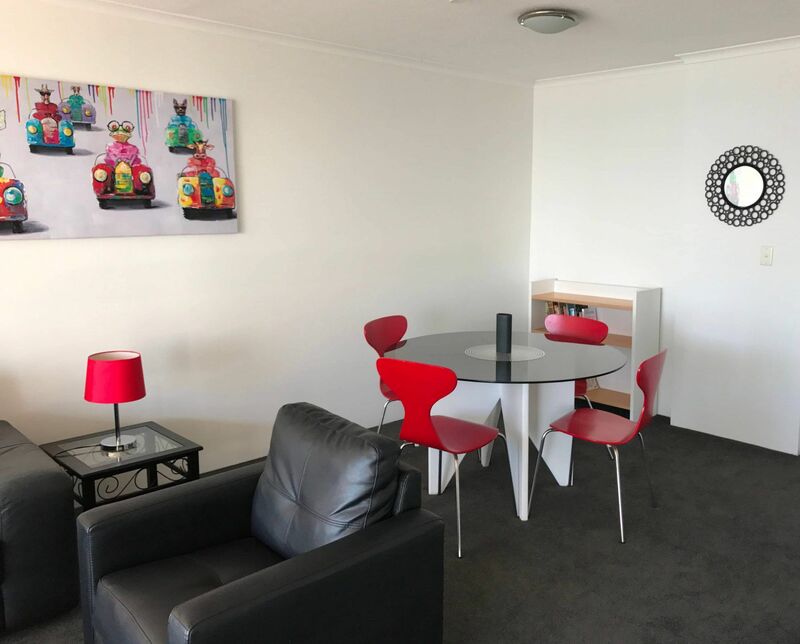 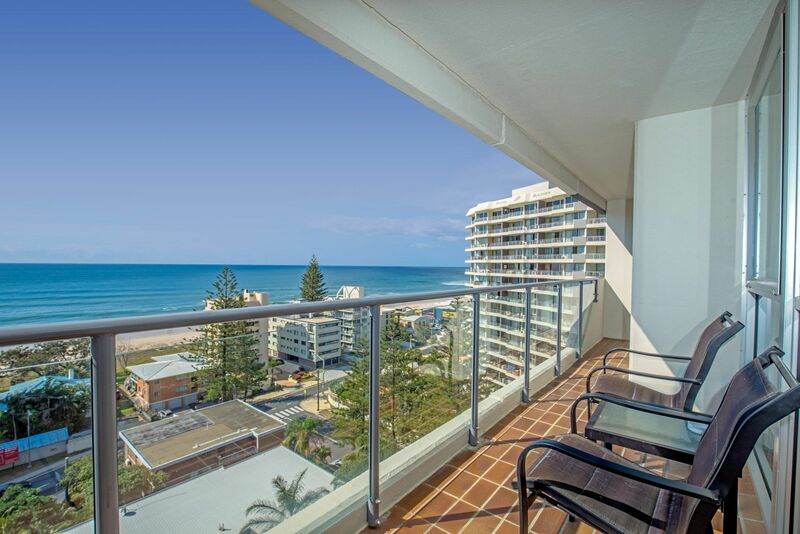 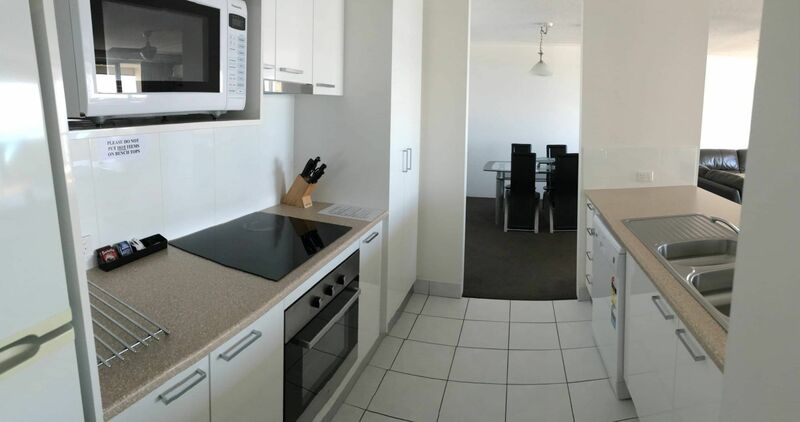 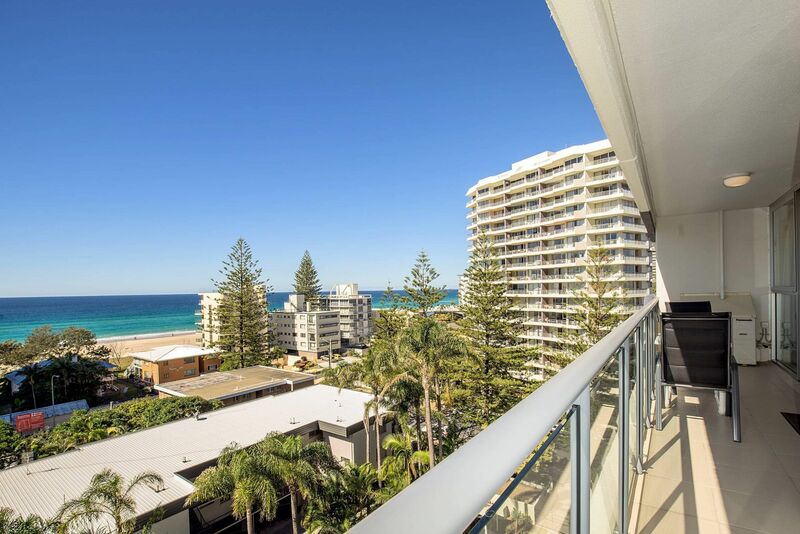 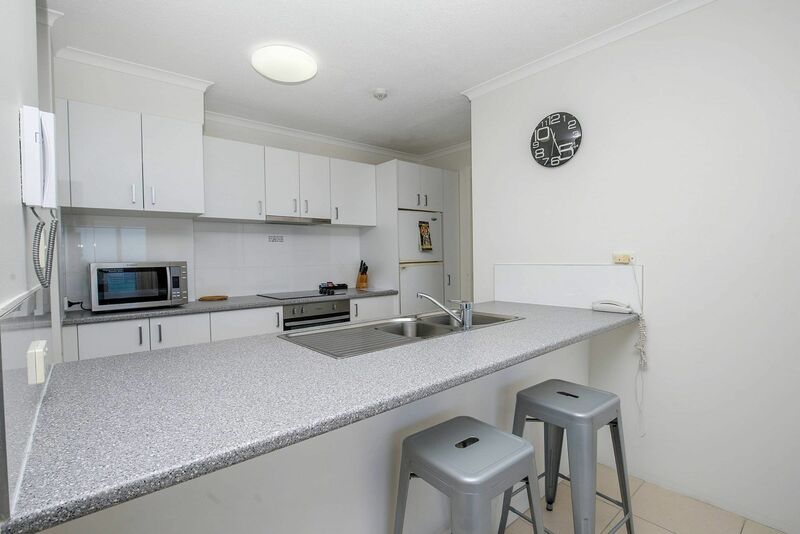 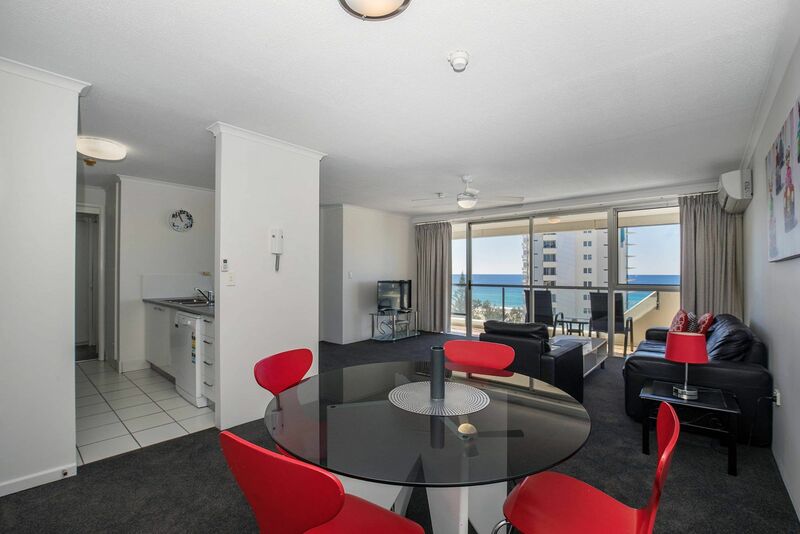 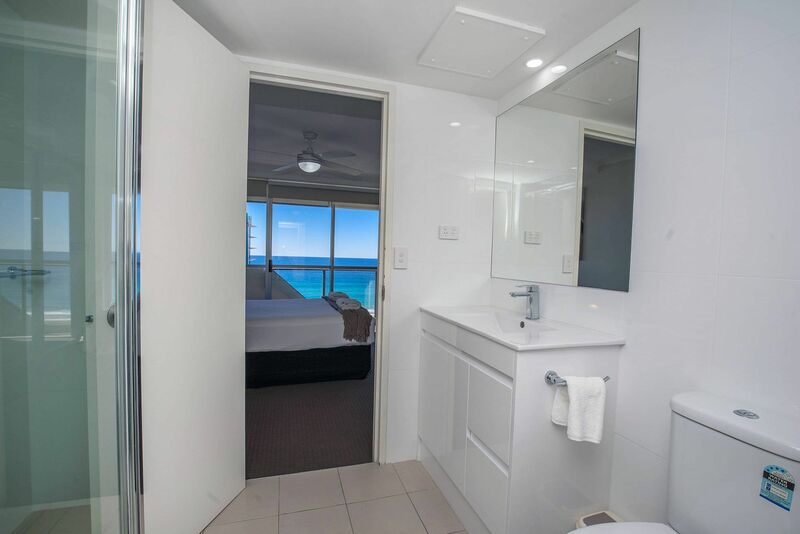 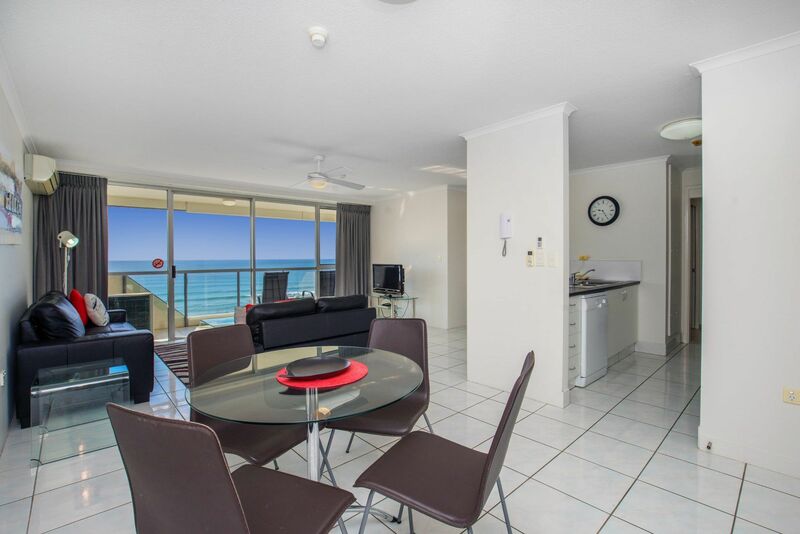 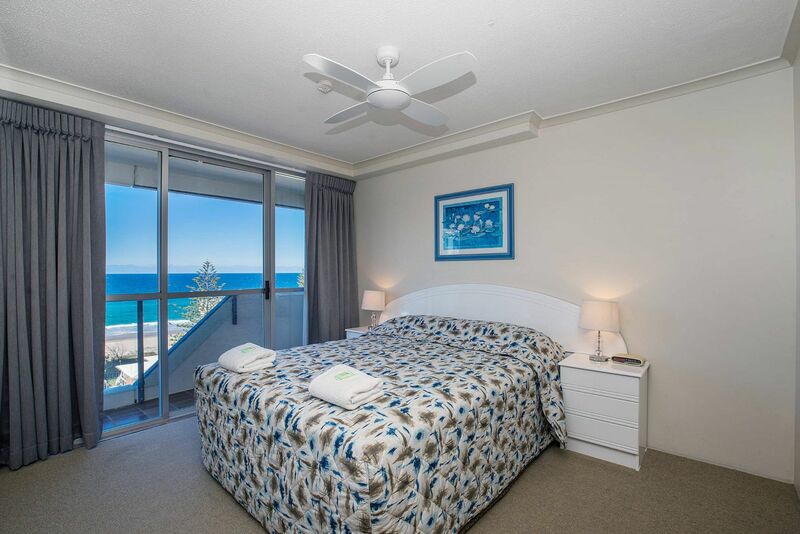 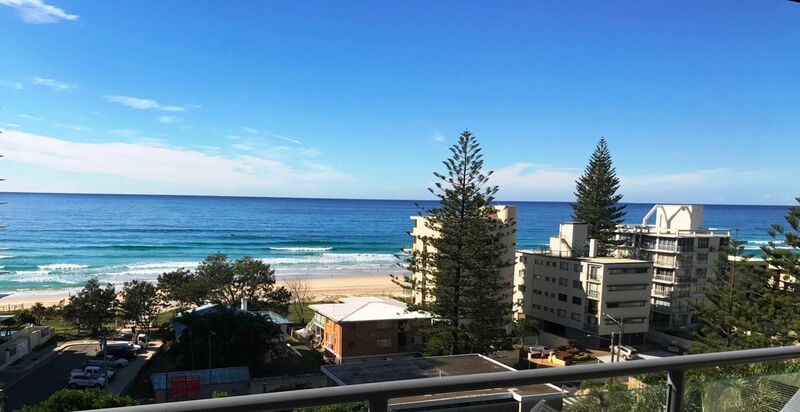 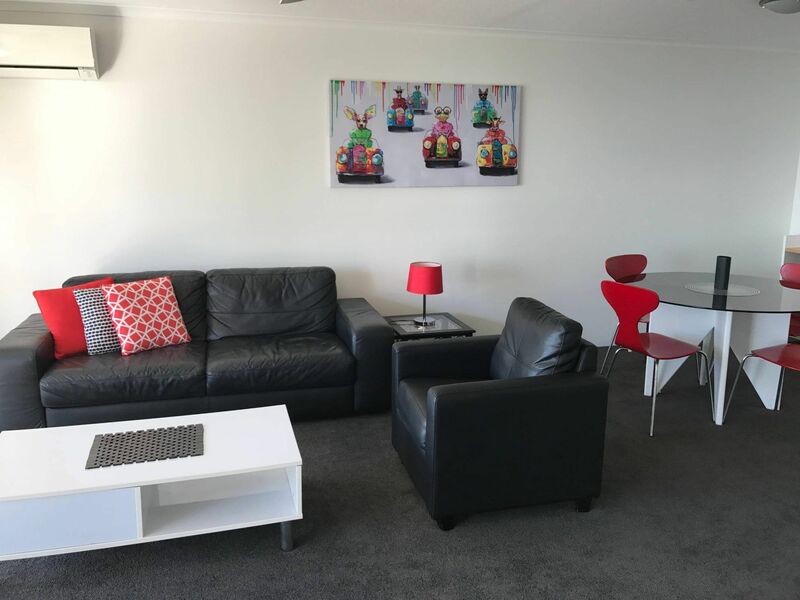 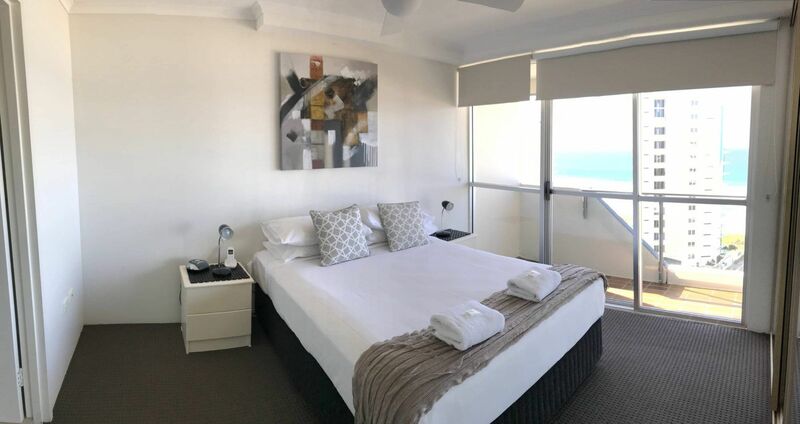 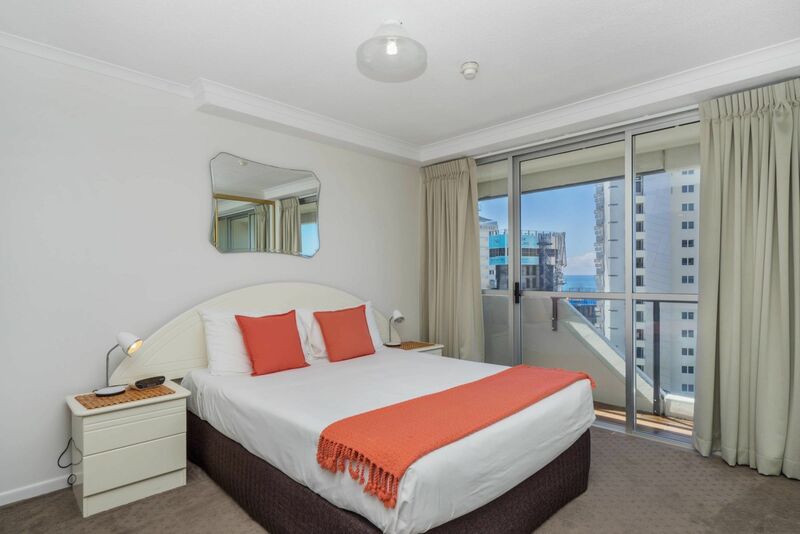 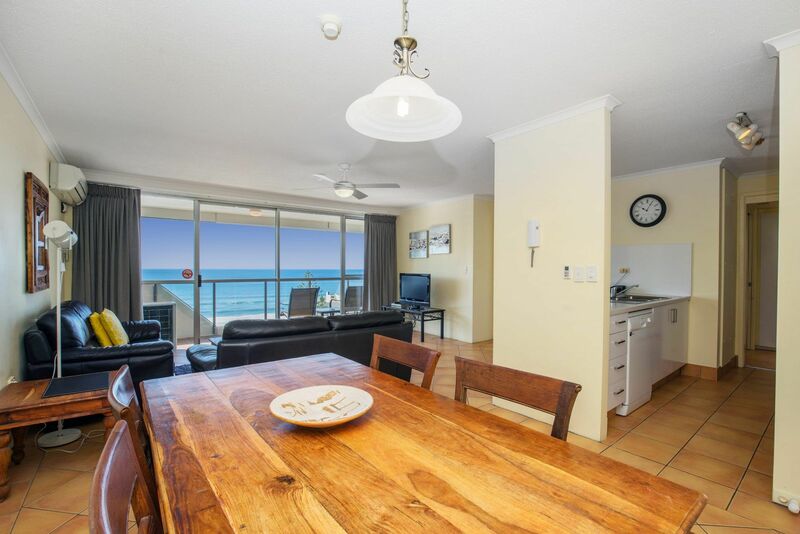 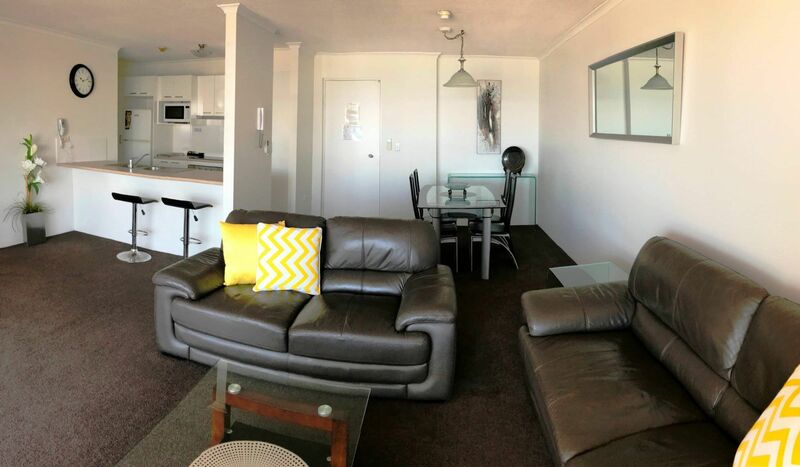 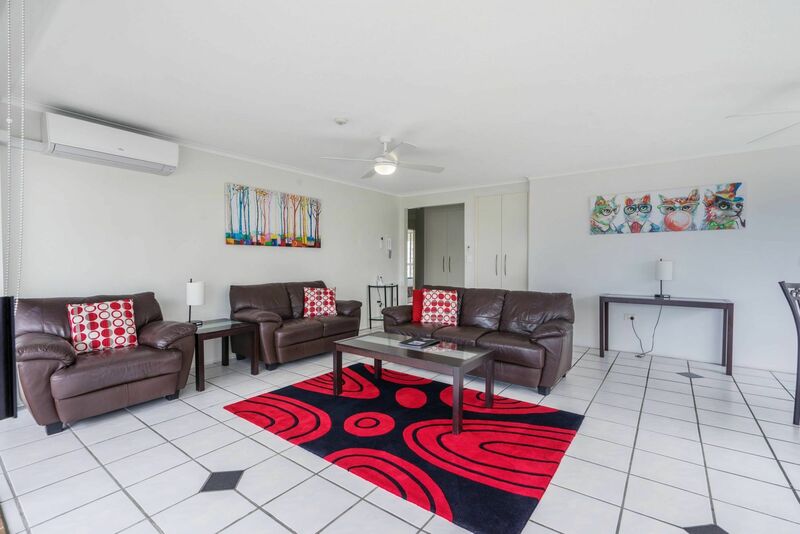 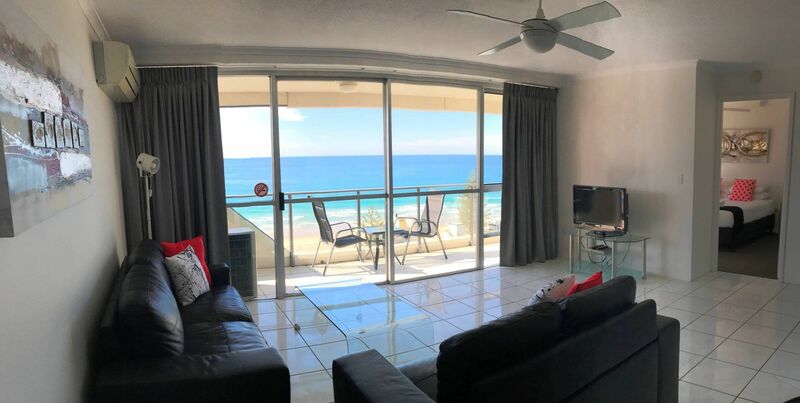 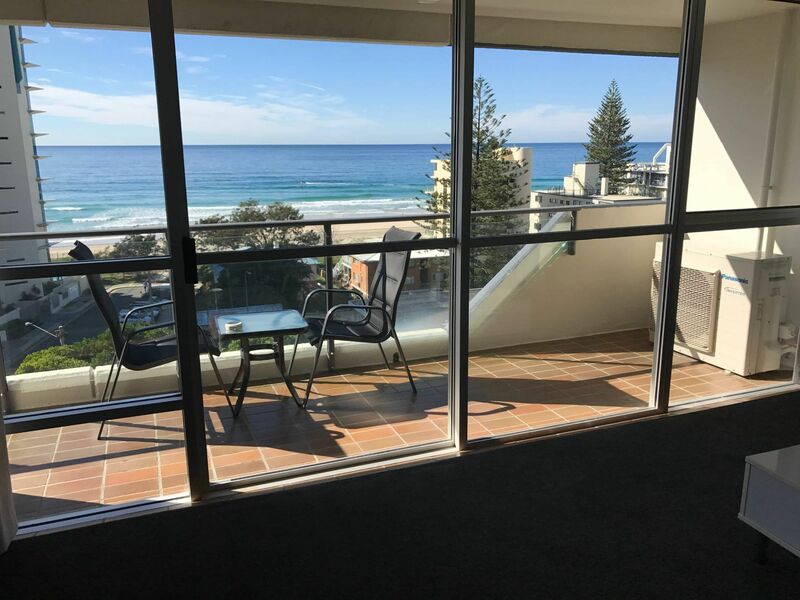 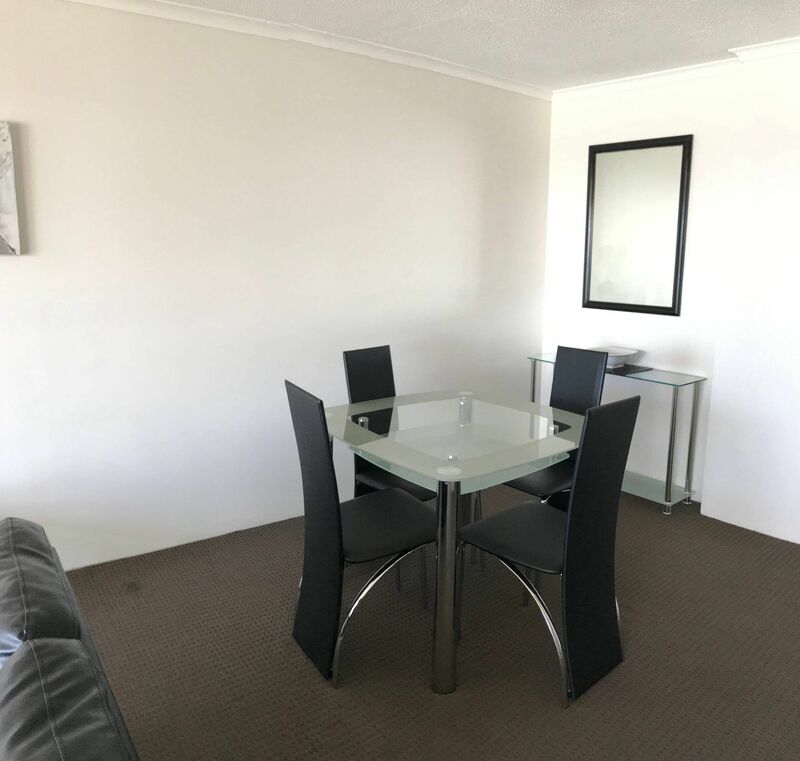 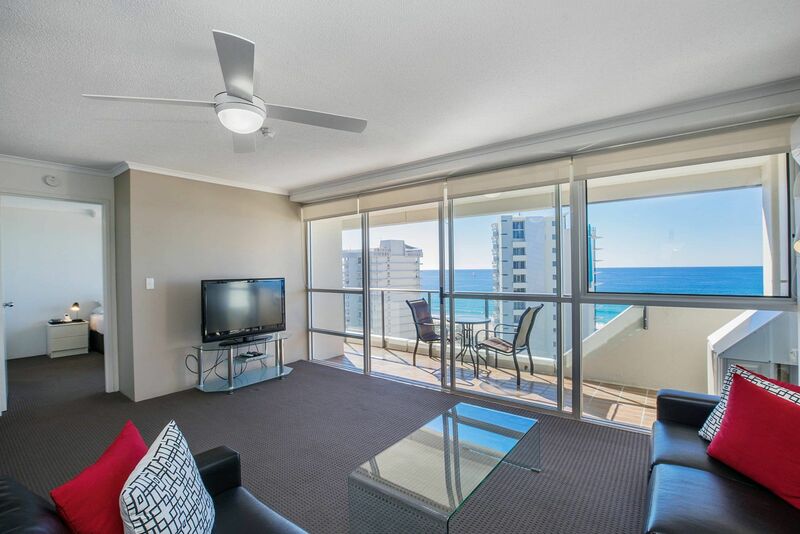 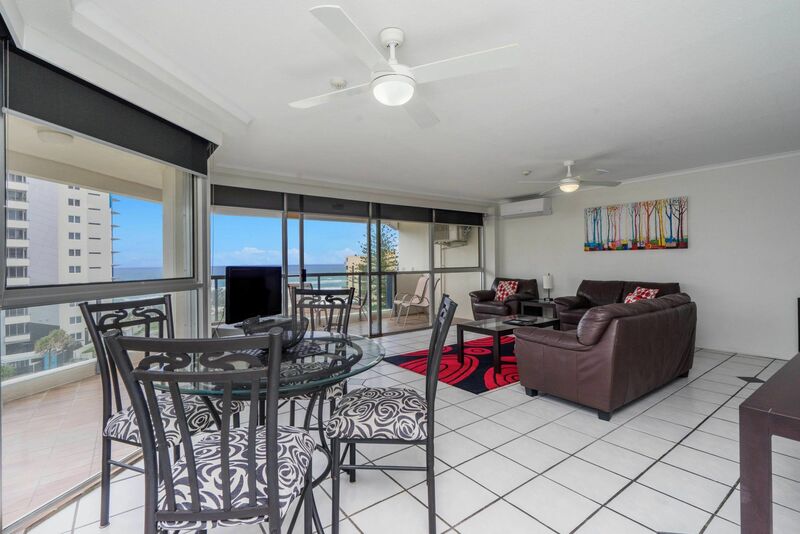 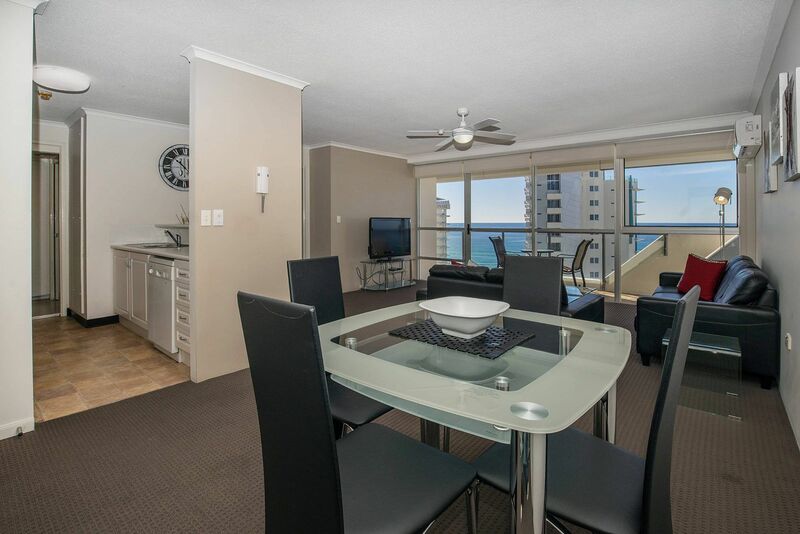 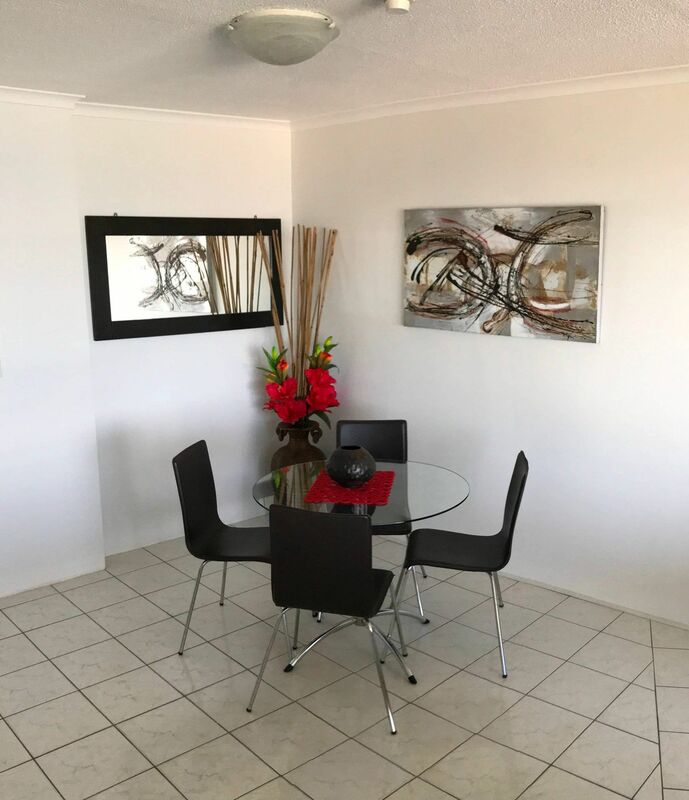 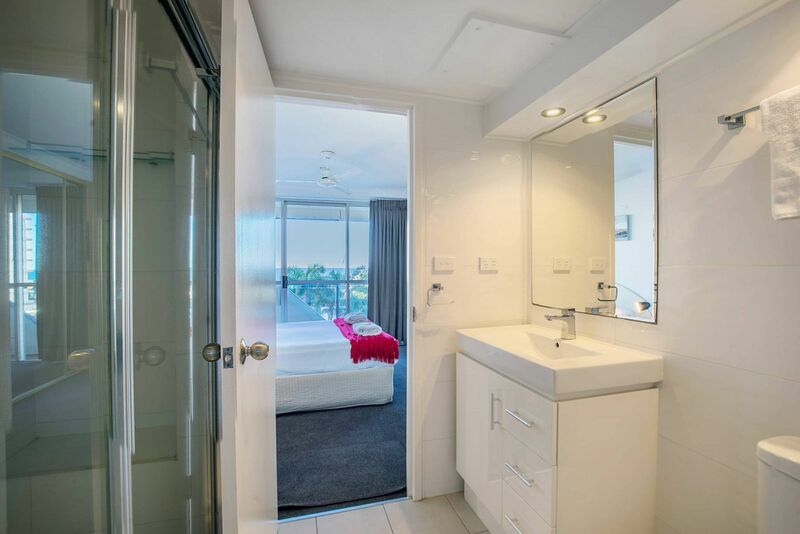 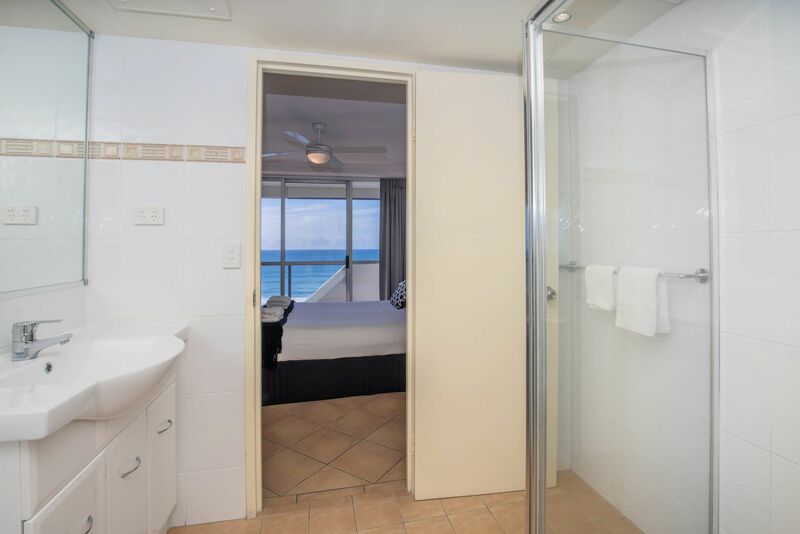 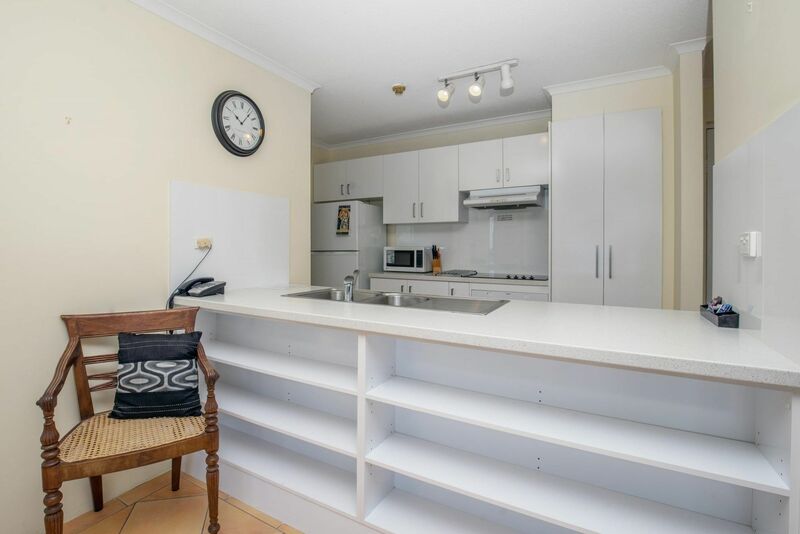 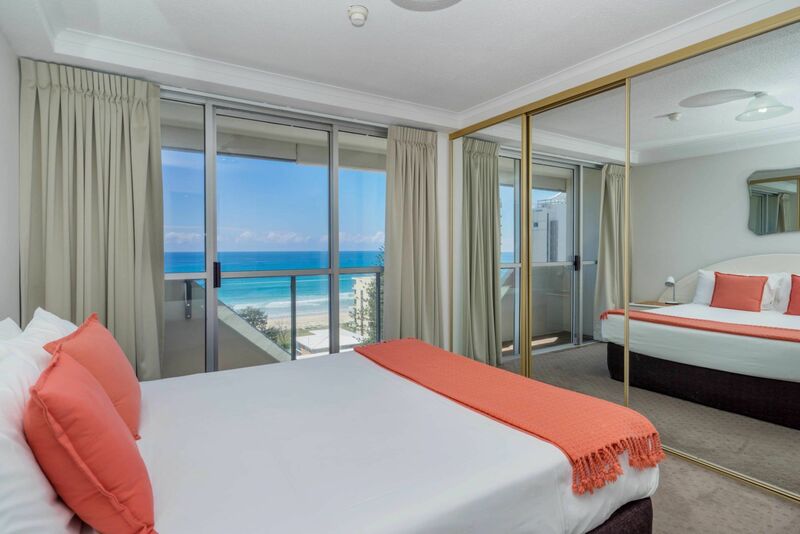 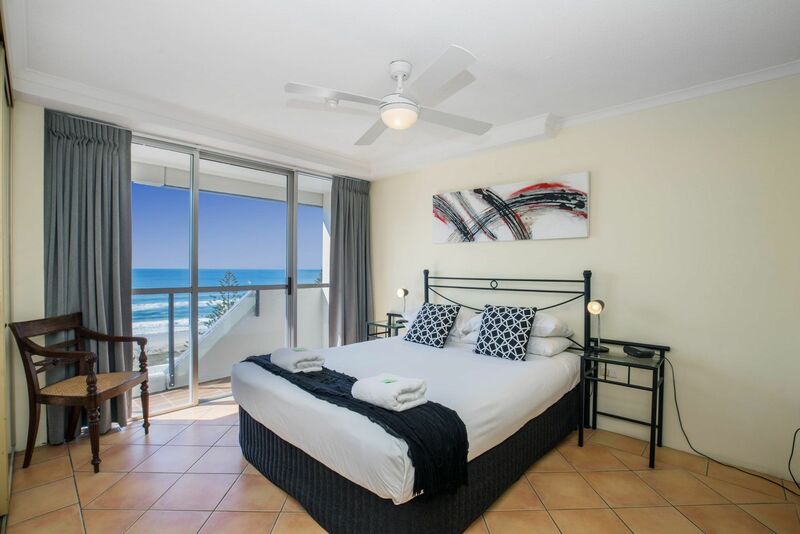 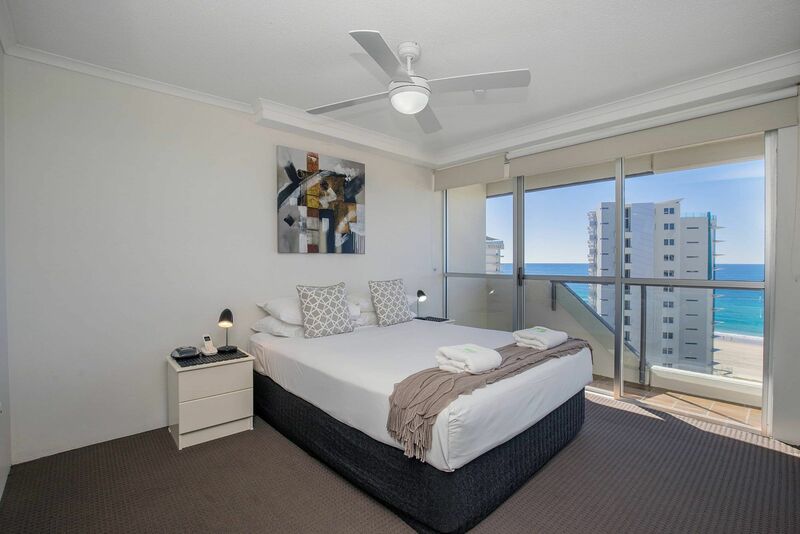 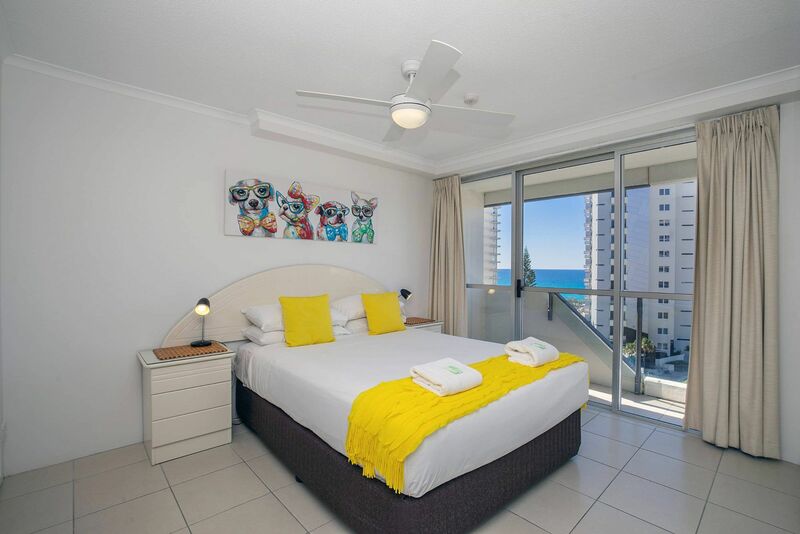 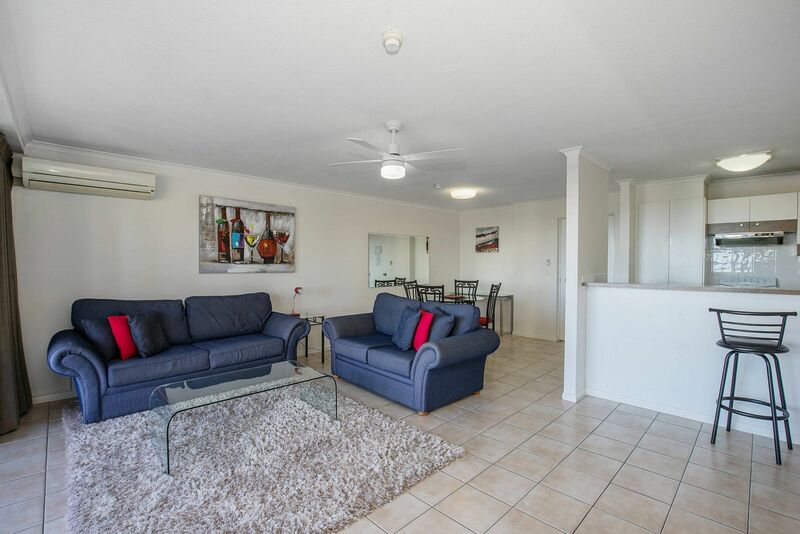 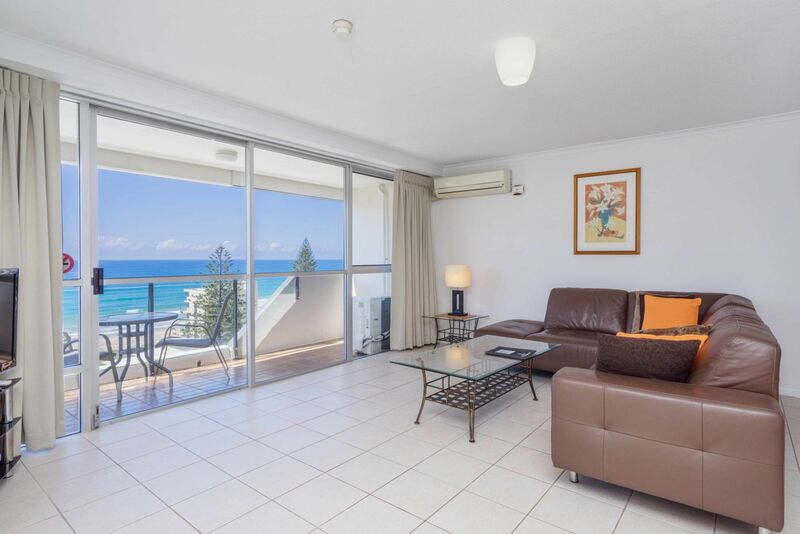 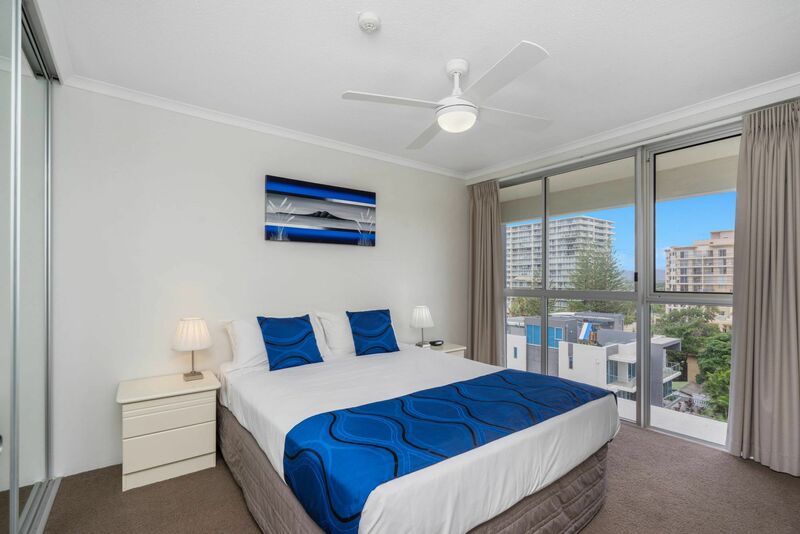 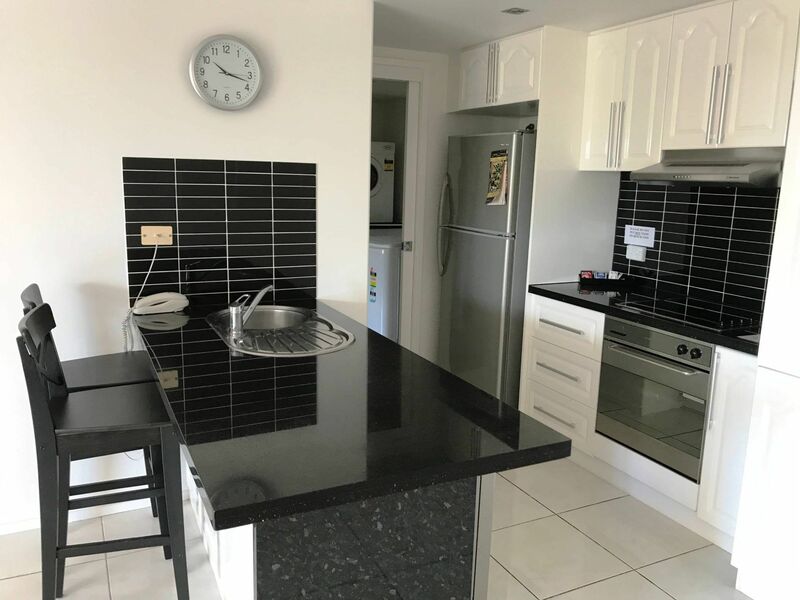 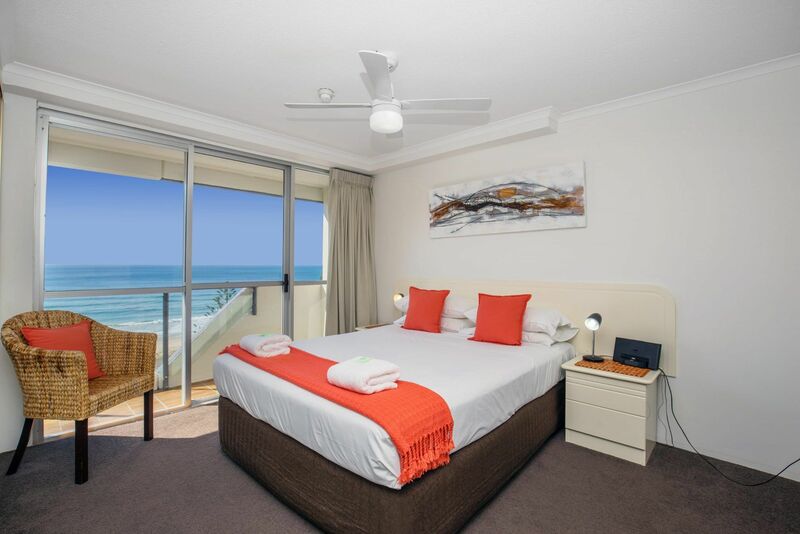 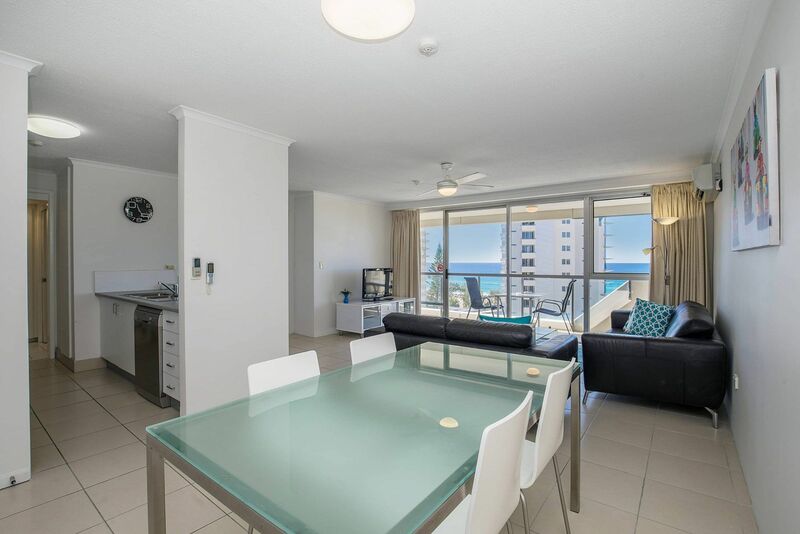 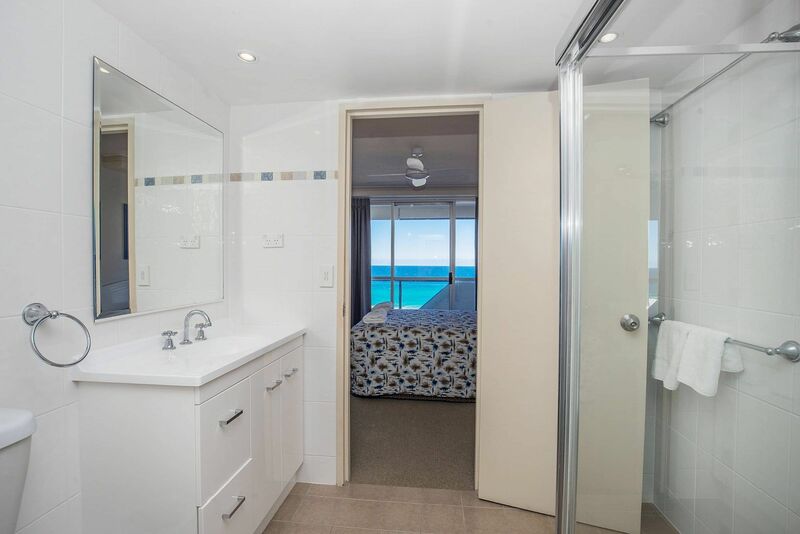 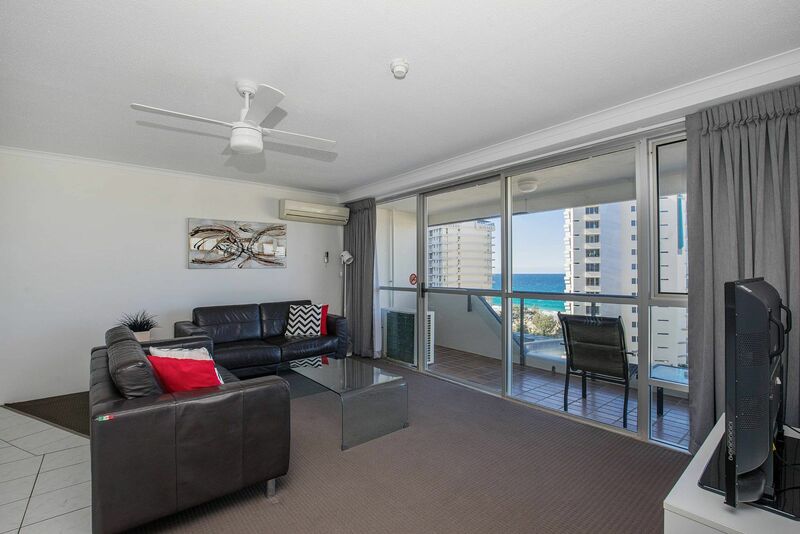 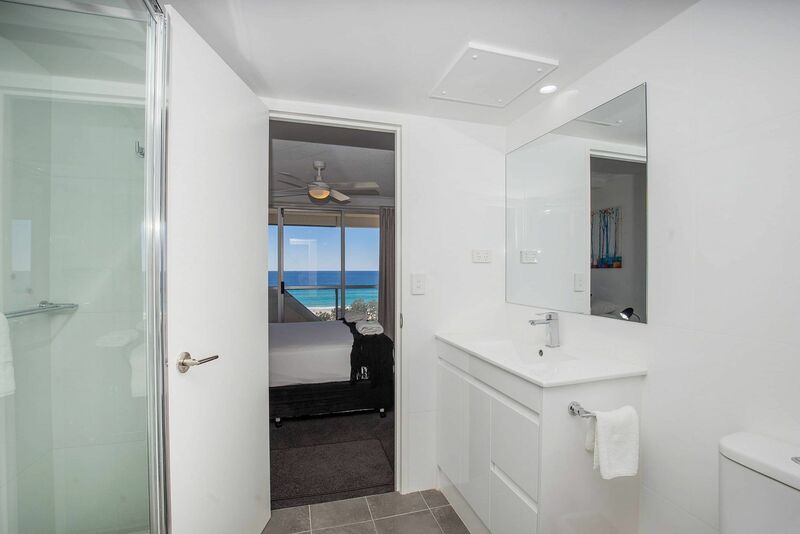 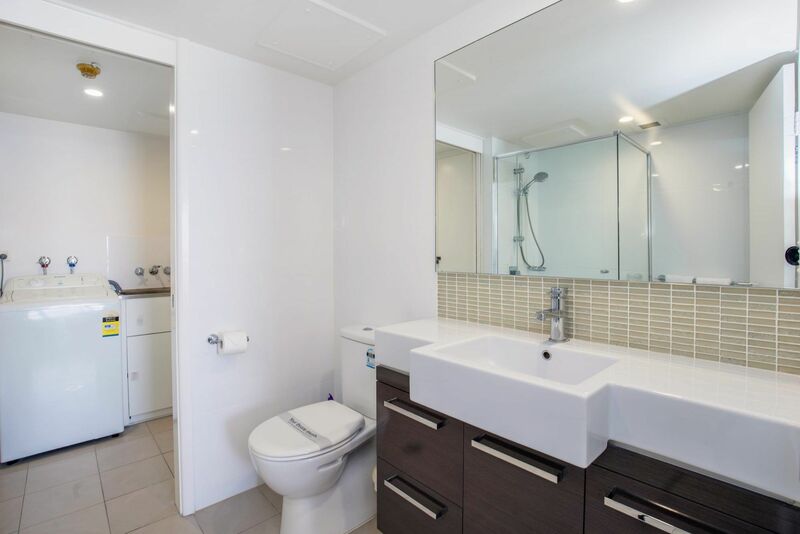 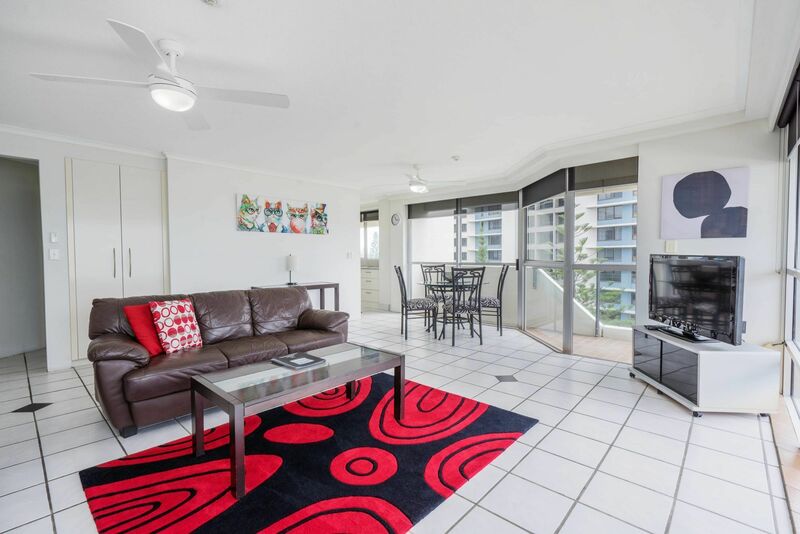 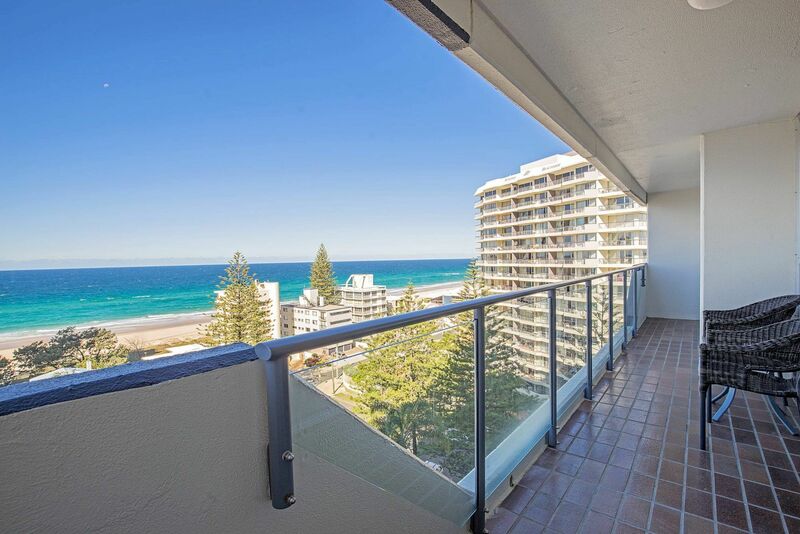 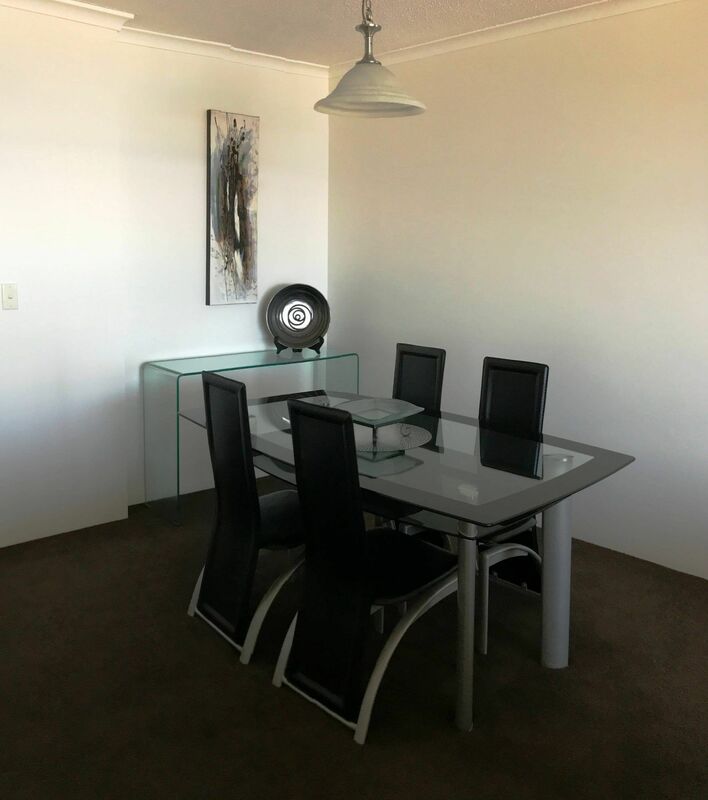 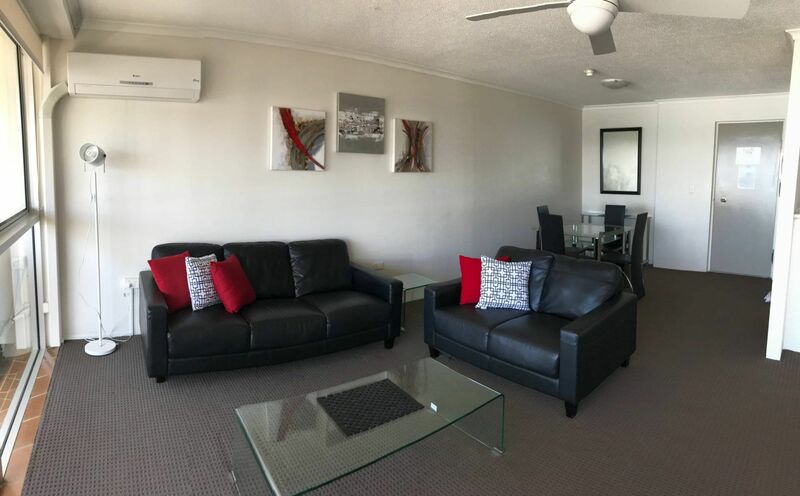 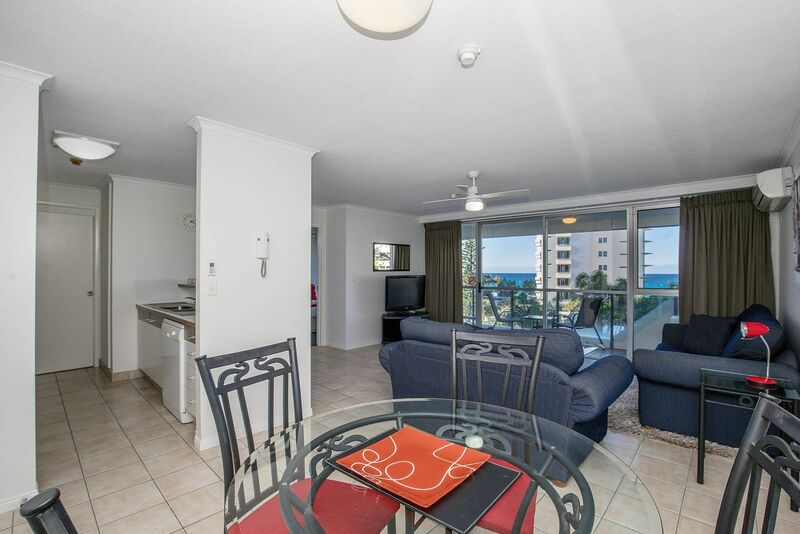 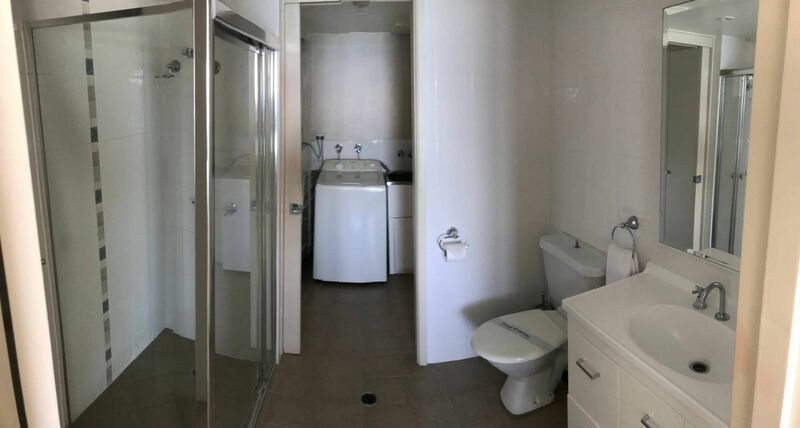 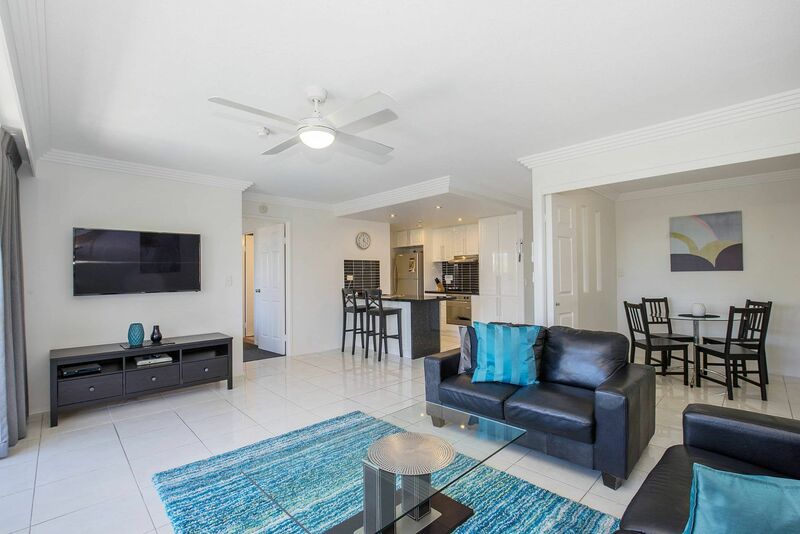 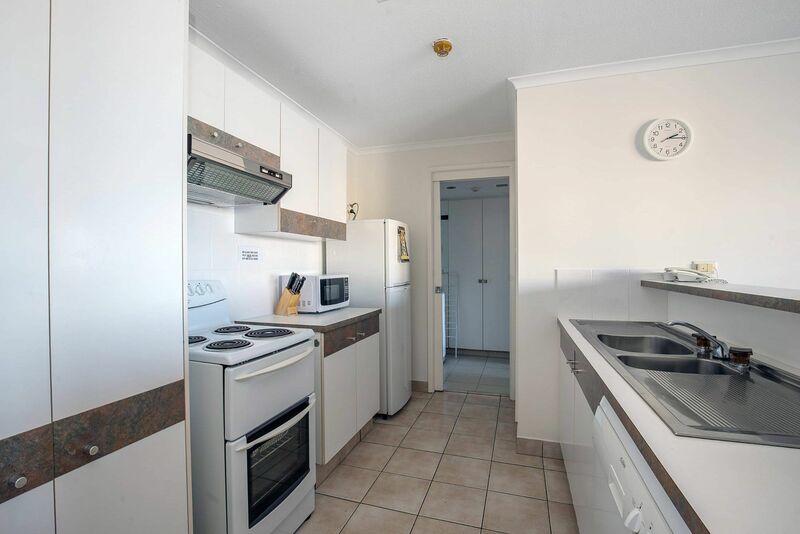 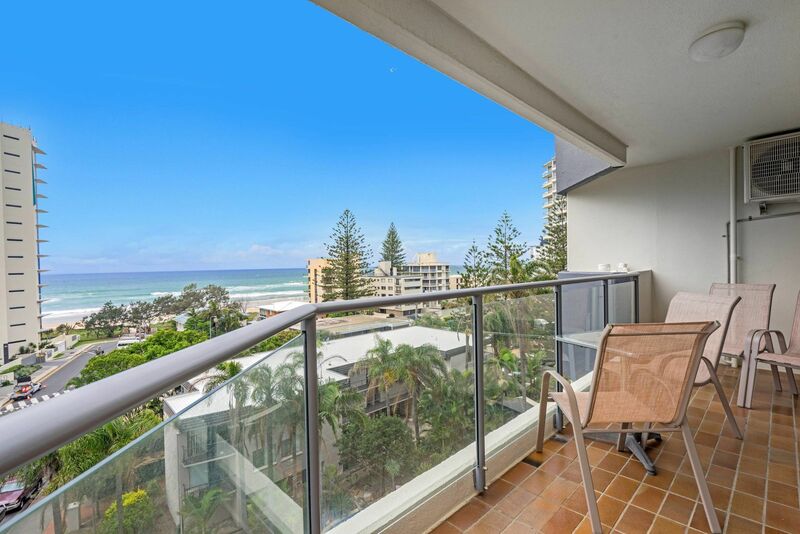 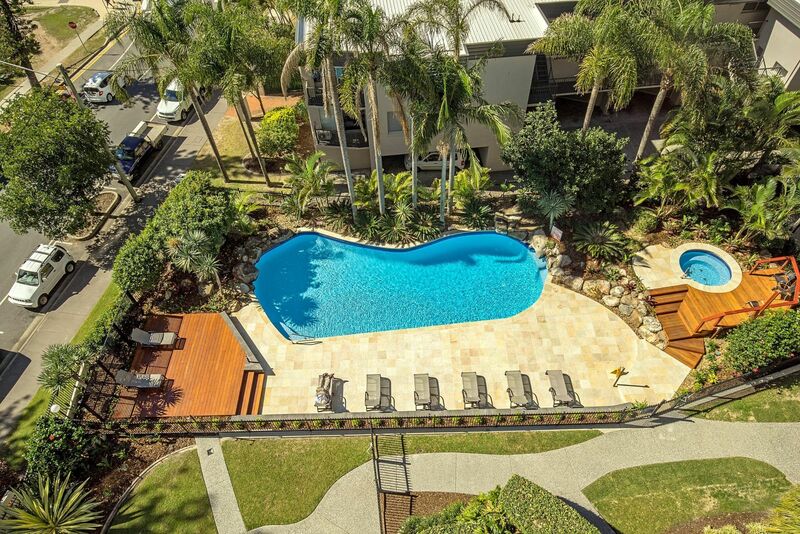 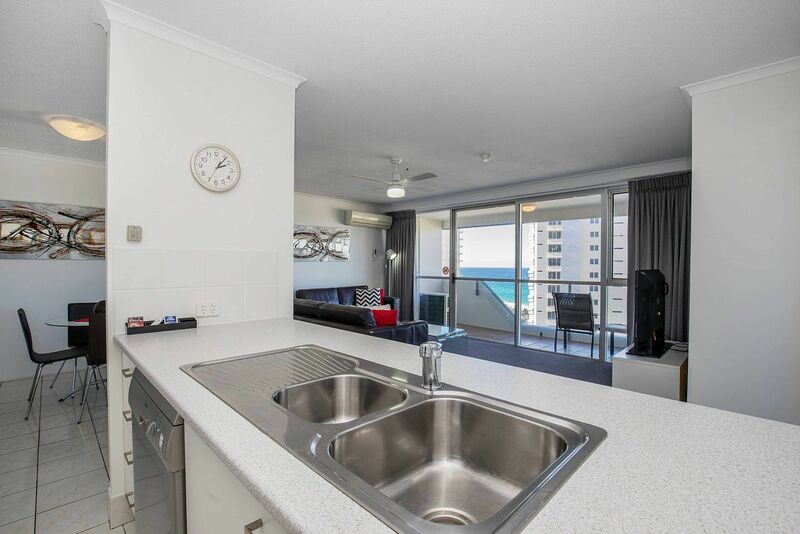 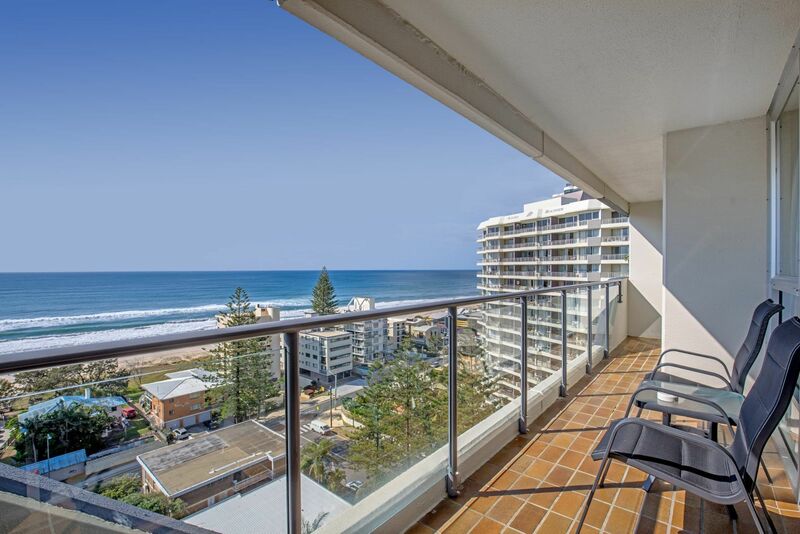 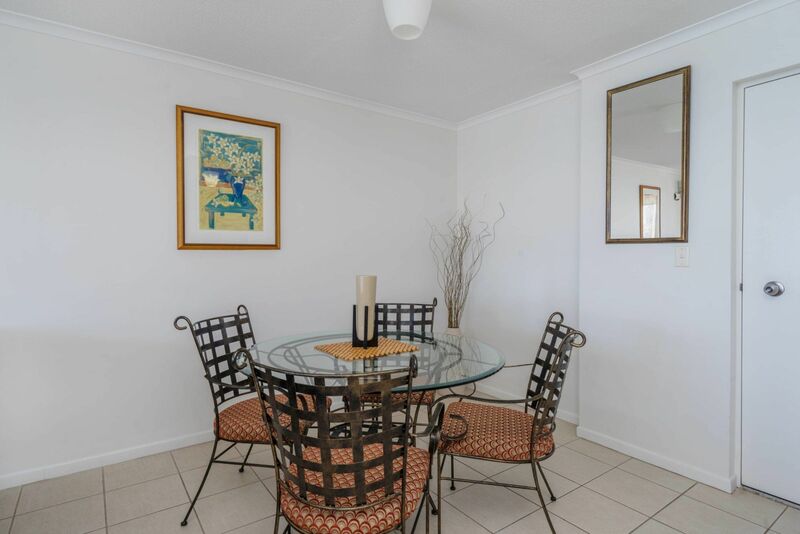 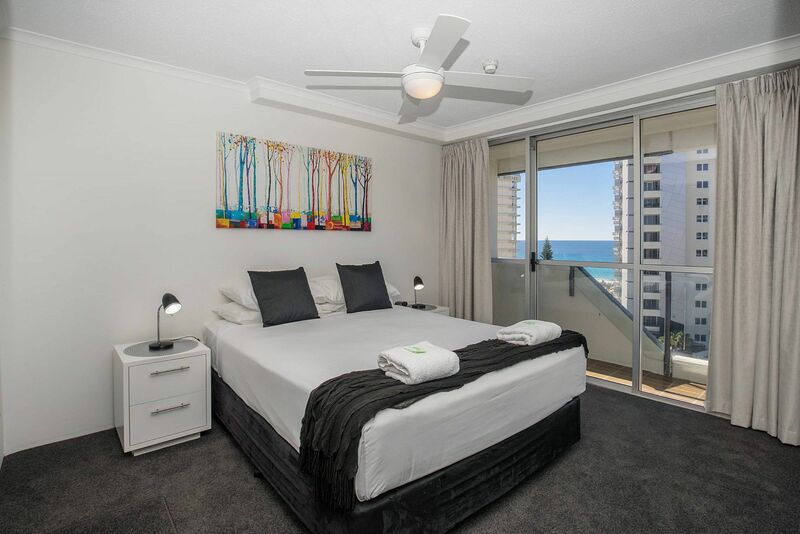 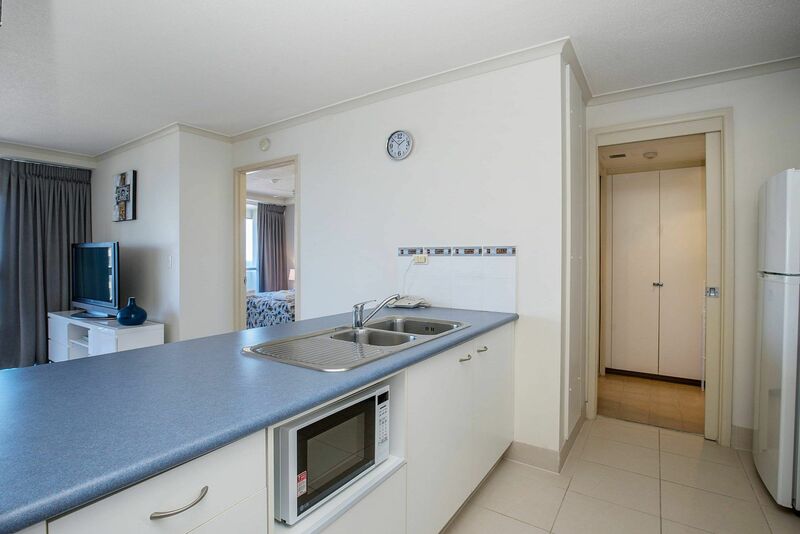 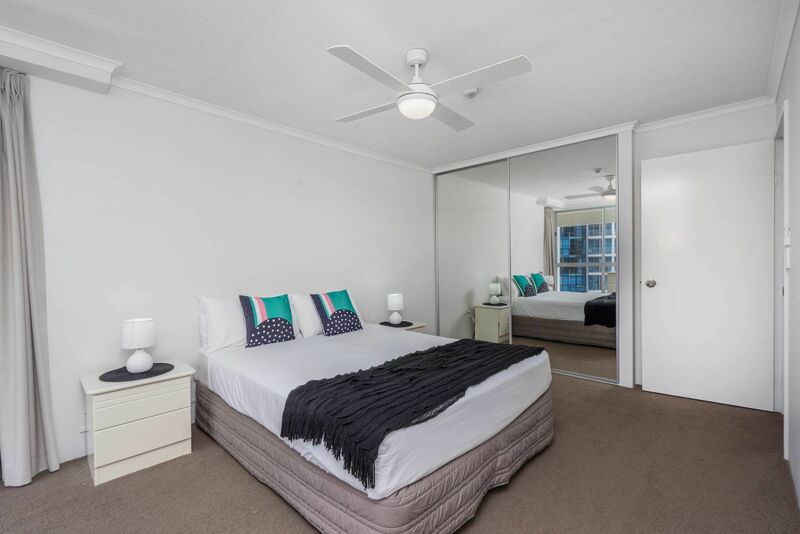 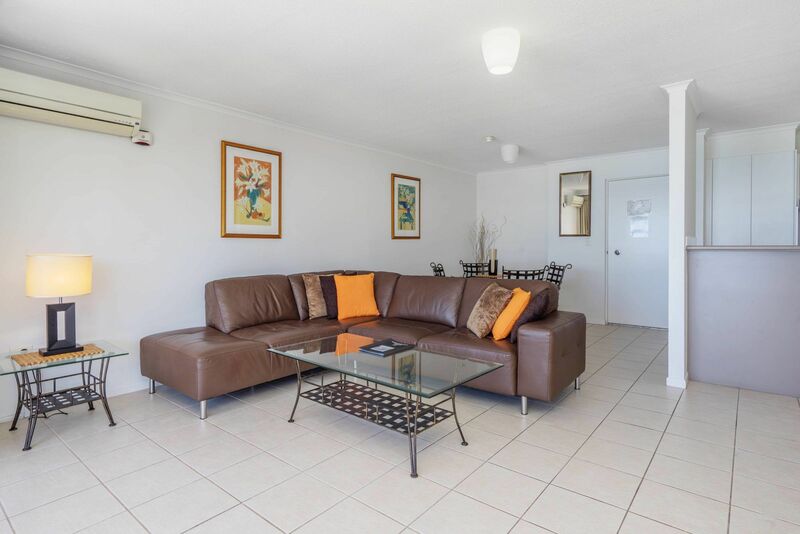 Situated on the lower levels of the building these spacious 1 bedroom units have views over the tropical resort gardens and outdoor heated swimming pool of Baronnet Apartments.